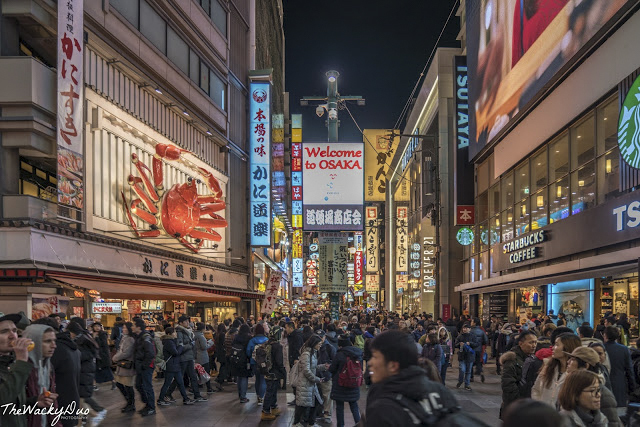 Osaka has been named as Japan's new tourist holiday hotspot for Asian Visitors. 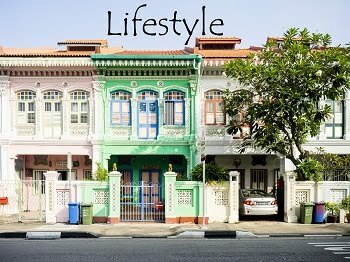 We decided to pay this once gritty city a visit to check out the colourful hype. With so much to cover, expect a long post ahead! Osaka was the second leg of our holidays in Japan. We had earlier stayed for 5 days in Tokyo. 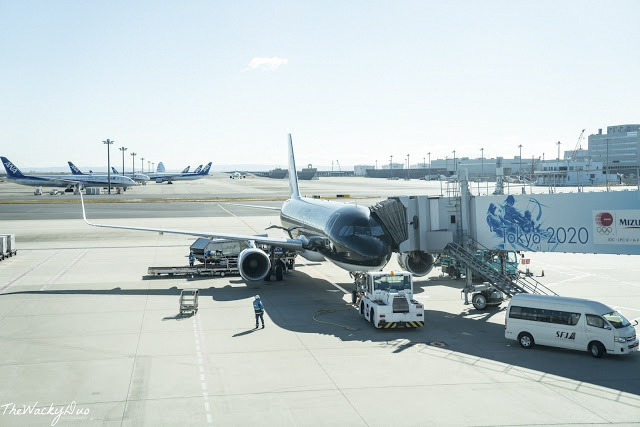 We took a local flight , the black clad Starflyer and embarked on an hour long flight to Osaka. The highlight of the flight? 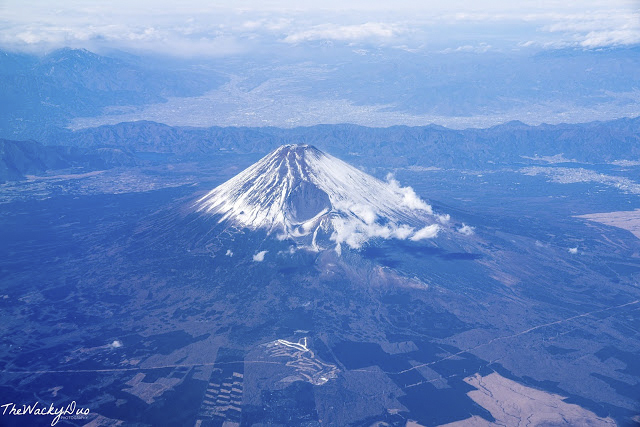 A bird's eye view of the awesome snow clad Mount Fuji. 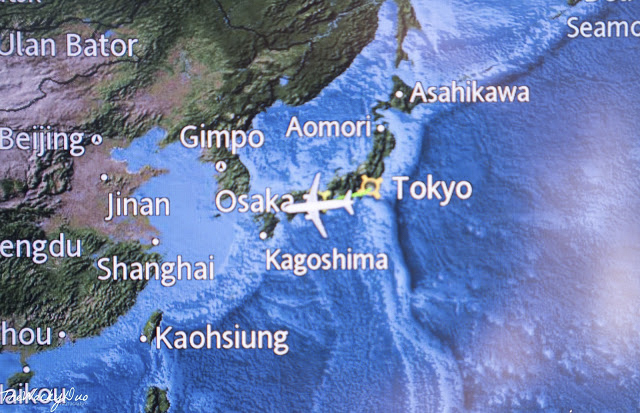 It was a very clear day and we had Fuji-san on our sights for about 10 minutes during the short flight. It was not something you get to see everyday. 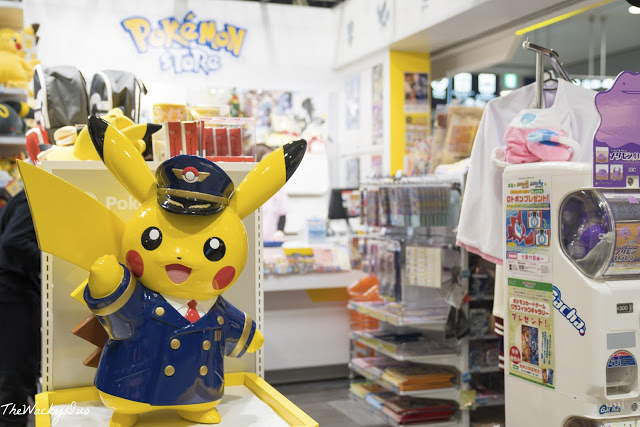 The first thing that greeted us out of the gate at Kansai Airport was a Pokemon Store. 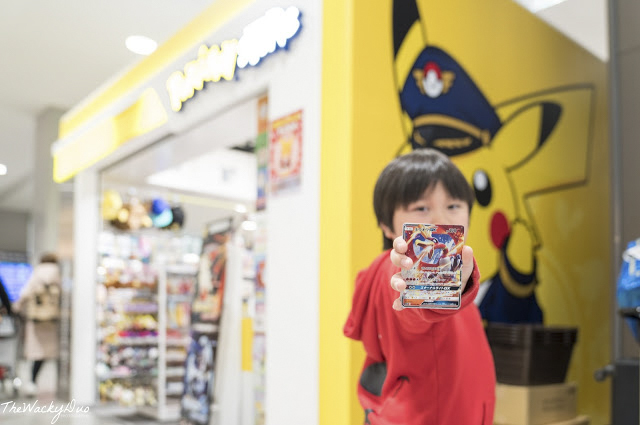 We had been searching high and low for Pokemon cards in Tokyo to no avail. Here in Osaka, it found us instead! Since the boy wanted to get a card, he got to pick a pack for himself . Lo and behold, he caught Ho-Oh, the one card that he has been looking for all these while. 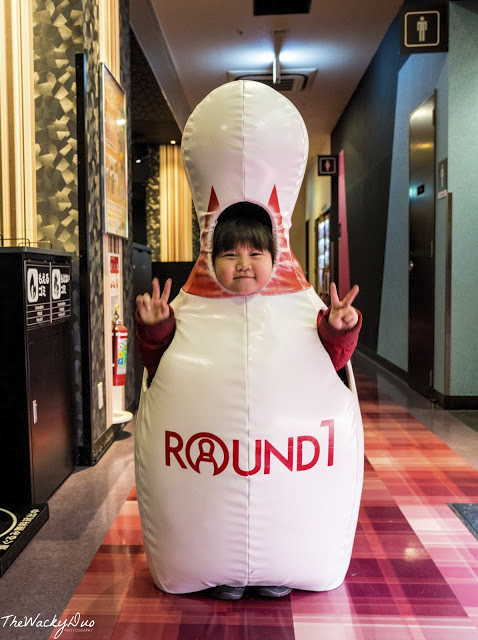 Off to a good start in Osaka. Ho-Oh ... I choose you! Our first destination was Hotel Universal Port. This official Universal Hotel was chosen as we managed to snag a 4 bedroom room for a pretty decent price through booking.com . 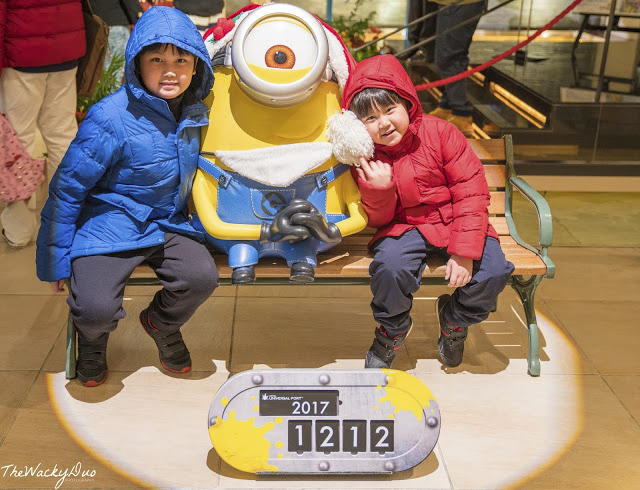 The Hotel Universal Port was decked out in Minions HACHA! MECHA! theme. It was a hit with the boys. Can you say love at first sight? The Room was pretty decent size and fits 4 Super Single size beds. 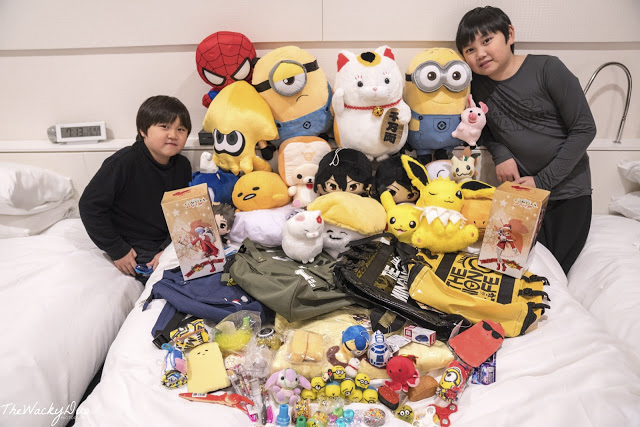 There was a special Minions room but we figured since we will be out for most of the time, it would be a waste to pay double the price of the normal room for an upgrade. It was a wise decision. We booked our hotel through booking.com and it was fast and simple. Best of all, it has free cancellation too in case we change our mind. 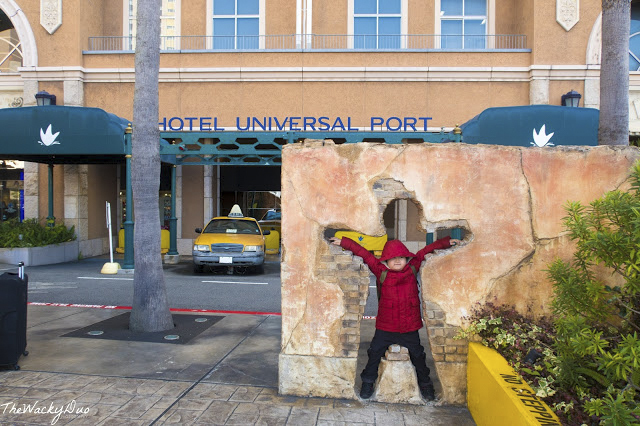 Need more hotel options around Universal Studios? 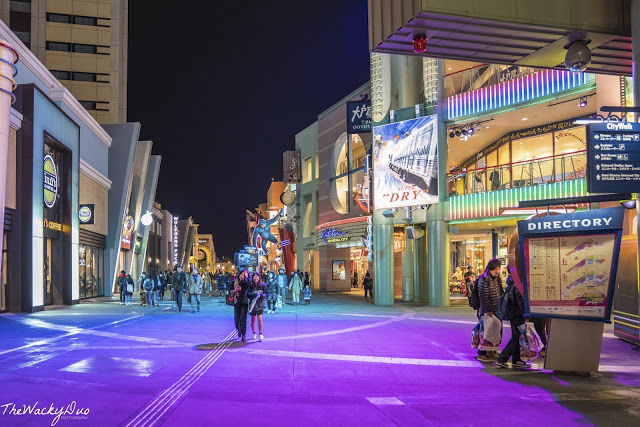 After checking in, we headed to Universal Citywalk to take a walk. Although it was only 5 pm in the evening, the sky had darken and dinner beckoned. 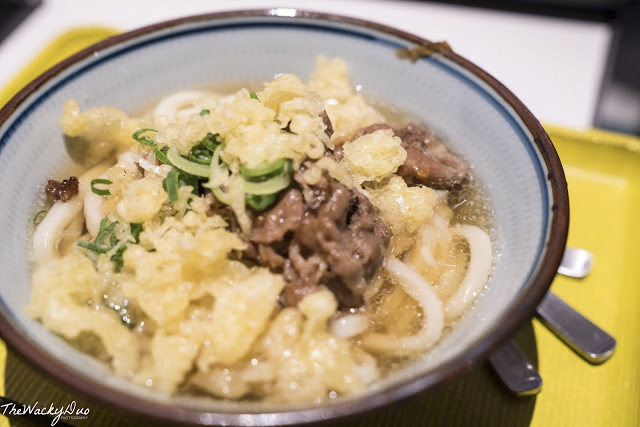 Hopping to one of the many dining options there, we had a hot bowl of Udon for dinner. 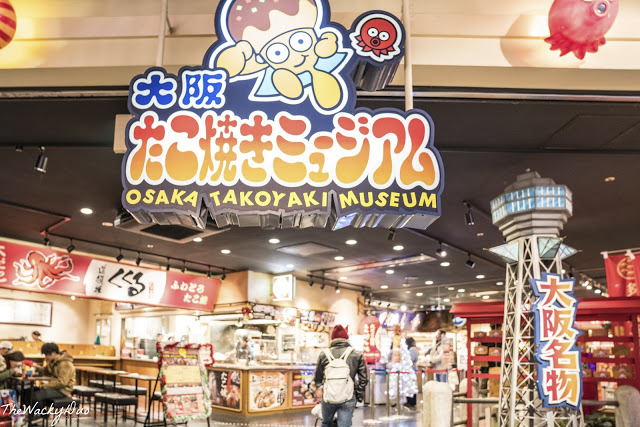 Thereafter, we decided to visit the Osaka Takoyaki Museum for a quick bite of Takoyaki before calling it a night. The Takoyaki was a treat. 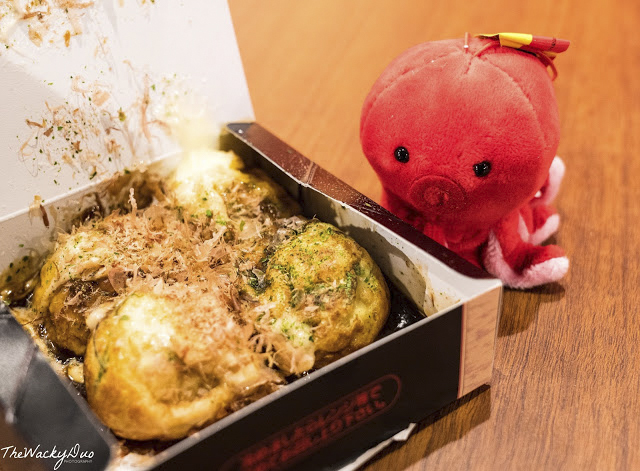 It just melted in the mouth at each bite If you do not already know, Takoyaki is a distinctively Japan treat made of wheat flour-based batter and filled with diced of minced octopus. 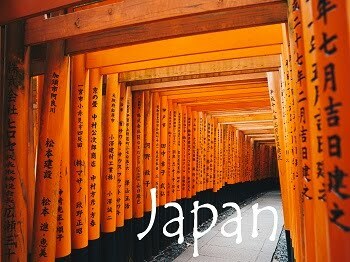 A must try in Japan! We had an early breakfast at the hotel's Port Dining Rico Rico. The morning buffet was a delight. There was a dish for everyone. 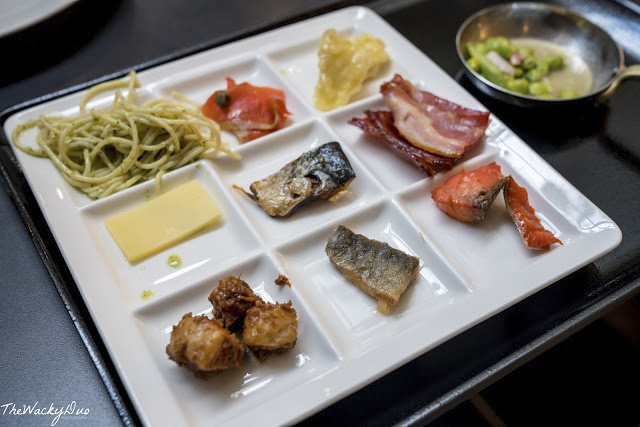 It was also the first time we had experience the Japanese 'breakfast plate'. It allowed you to place a small portion of an item on a plate designed for bite size eats. A clever way to ensure that you would not overeat. 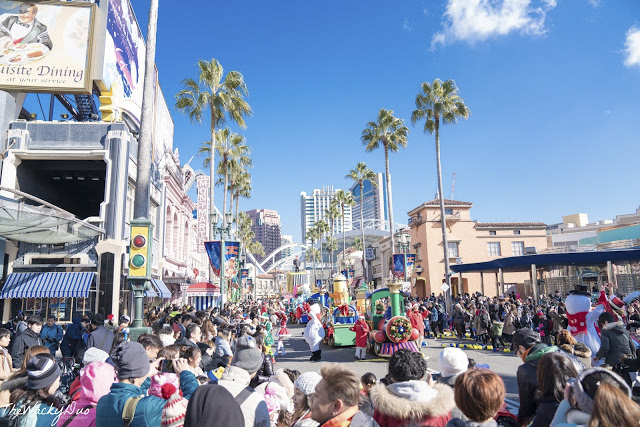 After having our fill, it was off to Universal Studios Japan. 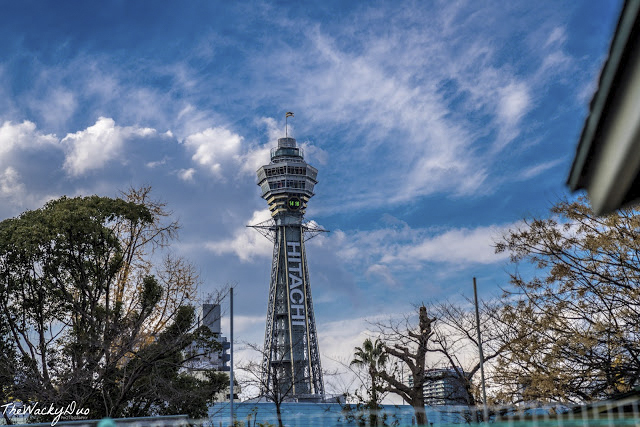 To prevent disappointment and long queues, we highly recommended to book the tickets online. 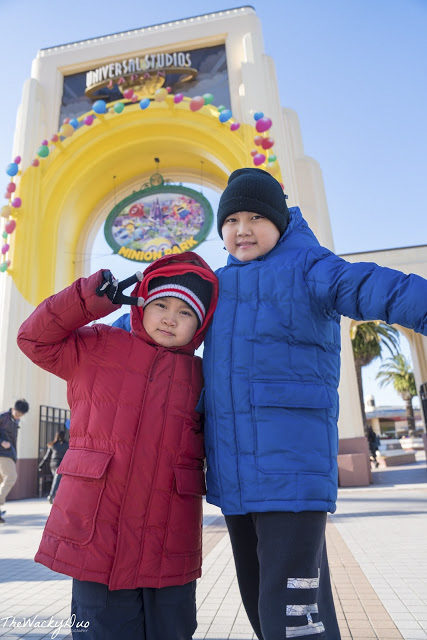 We got our tickets from Klook along with the Universal Studios Japan Express Pass 4. 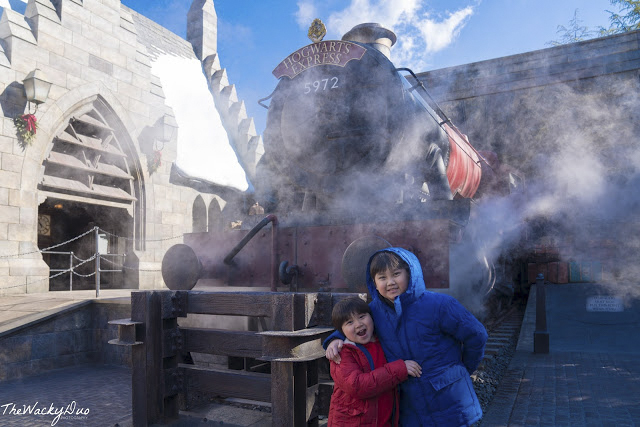 Our Express Pass included a time visit to The Wizardry World of Harry Potter. On the day of visit, the crowd was a manageable size so this timed visit does not apply. All aboard the Hogwart Express! This attraction is a must see destination in Universal. 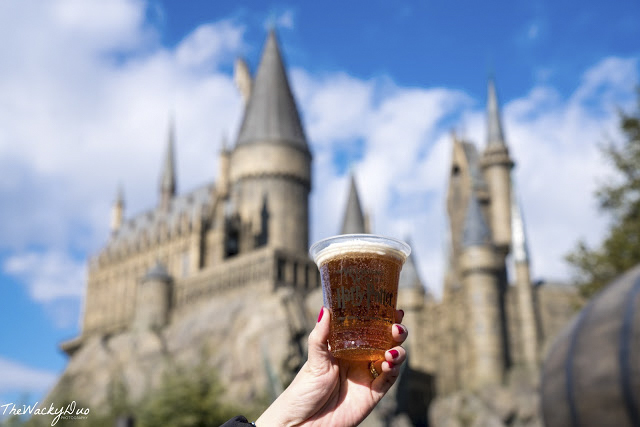 Even if you do not take the rides, you still need to take the iconic photo with the Hogwarts Express and have a taste of the famous Butterbeer! In between rides, we also managed to catch the Christmas Special show. The show was much better than anticipated and could give its competitor a run for its money. 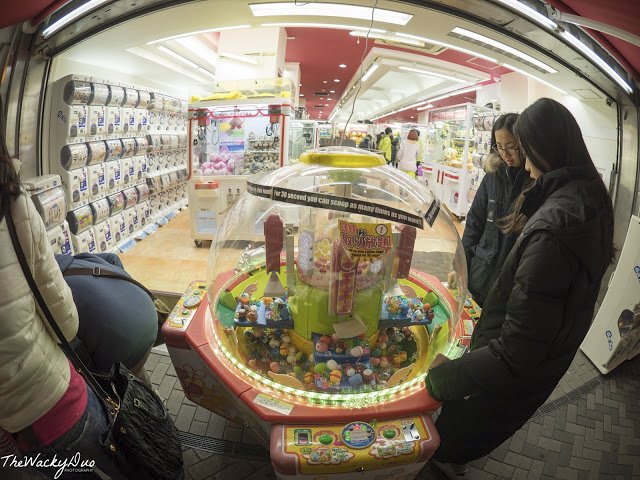 Being carnival fans, we could not resist trying our luck at the VERY expensive carnival game (¥1000). Lucky for us, we won it a plush at our first try! Spidey's coming home with us! The best decision for today was made pre-trip... The Express 4 pass! With the Express Pass 4, we managed to sit on all the rides and attractions that we wanted. 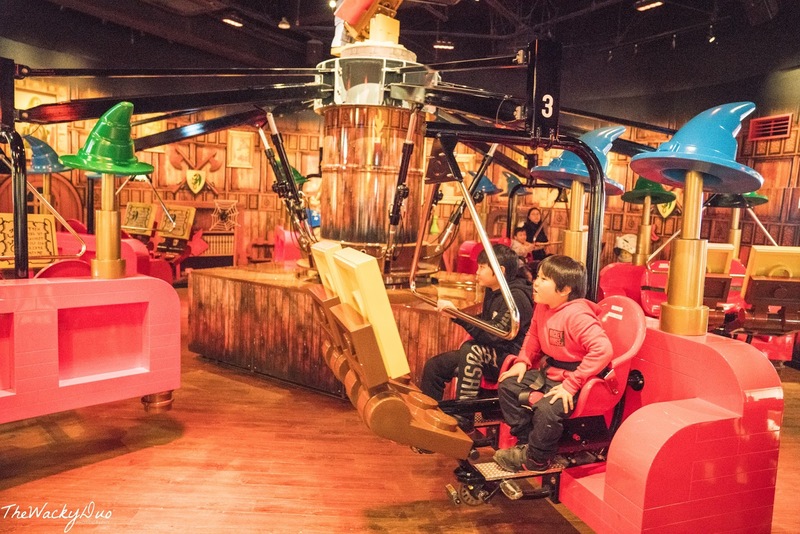 It included the Harry Potter and the Forbidden Journey, Minion Mayhem, The Amazing Spiderman, Jaws, Jurassic Park the Ride, Terminator, Backdraft and Space Fantasy. We skipped the Hollywood Dream and Flying Saucer due to the height restriction (minimum 132 cm). 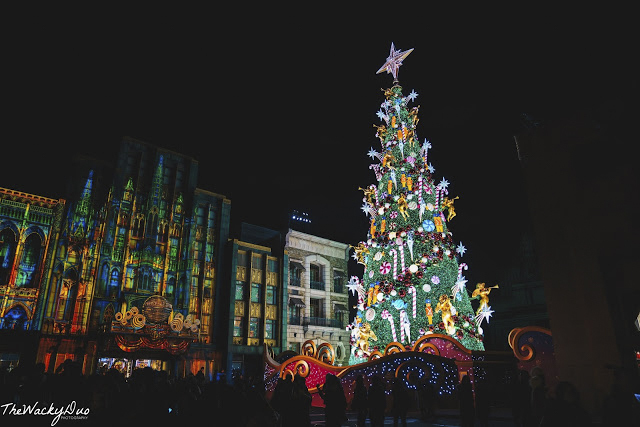 With time saved, we even had time to explore Universal Wonderland. All in, we sat on over 12 rides in ONE day. The most we every did in any theme parks! 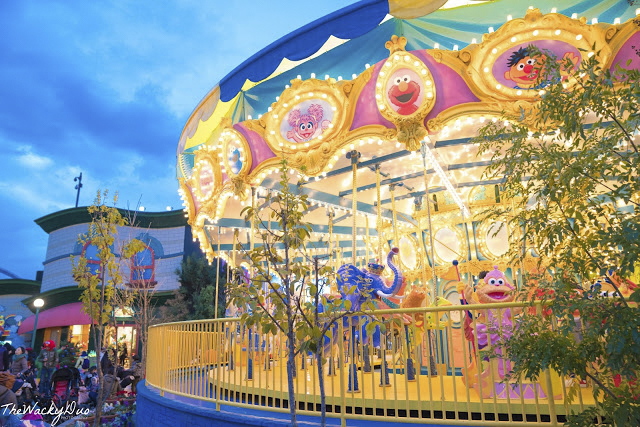 Most of the popular rides had waiting time of 45-60 mins. 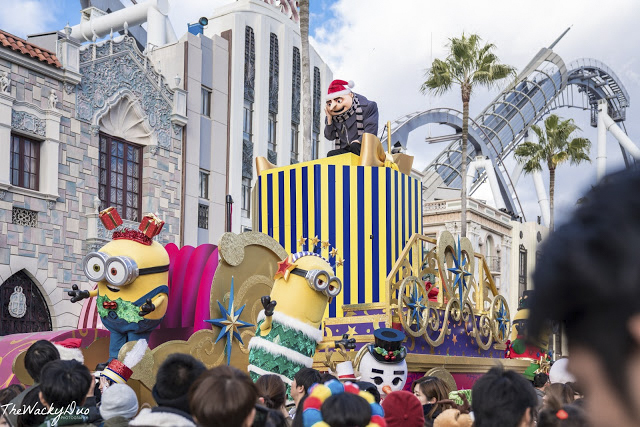 The most popular ride such as Harry Potter and Minions had wait time of 90 minutes. Without the Express Pass 4 , we probably would have ended up with a handful of rides. Klook.com Ps . 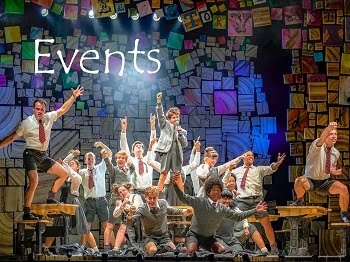 Get tickets only from OFFICIAL PARTNERS, else it may be void! After a whopping 10 hours at USJ, it is time to have dinner. 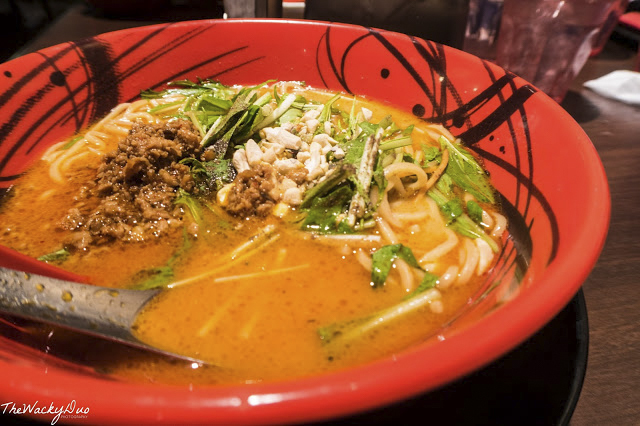 We head over to Universal Citywalk to have our Ramen dinner before calling it a night. We kicked off the day with a Boat ride just outside Hotel Universal Port. 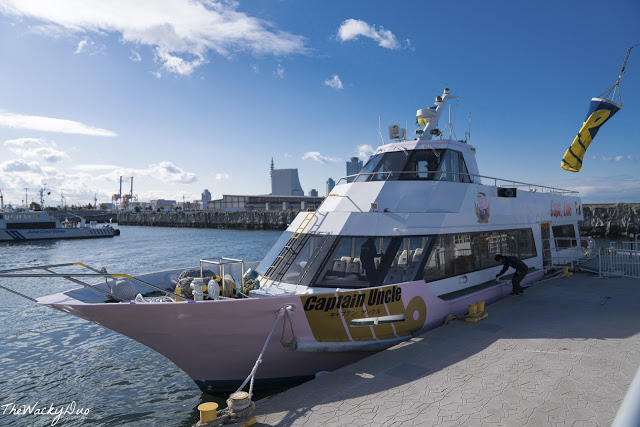 We took the Captain's line as we will be exploring the Osaka Aquarium today. This was also the day we utilized the Osaka Amazing Pass we had purchased from Klook. We had collected the pass earlier at the airport. 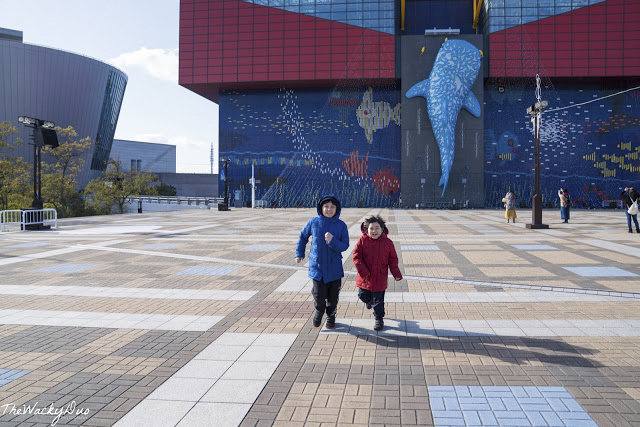 First stop was the Osaka Aquarium Kaiyuka. 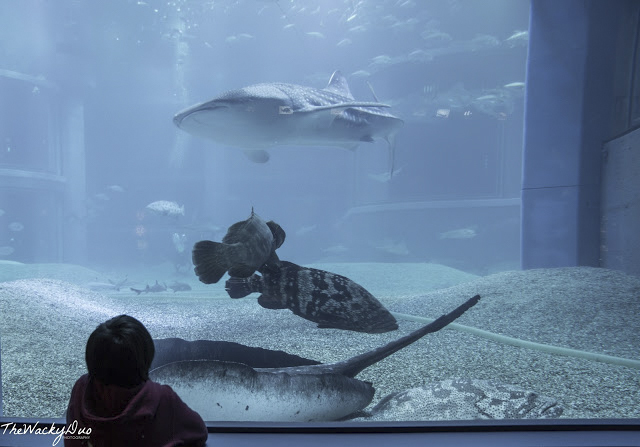 Billed as the largest aquarium in the whole, the star attractions is undoubtedly the Whale Shark. Compared to other aquariums we had seen, this one is showing its age. Still worth a visit if you are in the vicinity. We found a couple of interesting stores in the building. 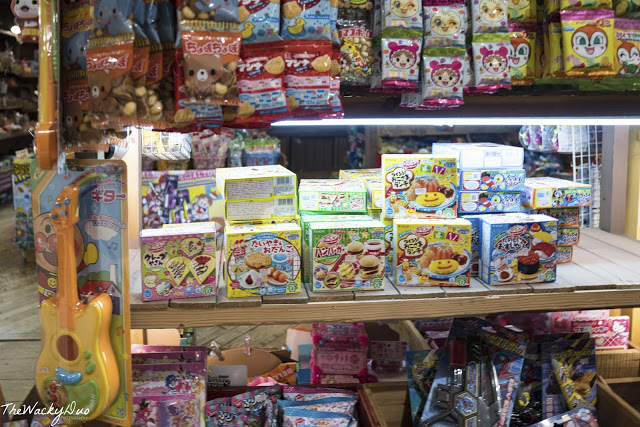 There were stores selling old school Japanese goodies, Gachapon store, Anime stores. If you looking for quirky souvenirs, you might just find one here. Soon we were up up and away on the Tempoza Ferris Wheel. 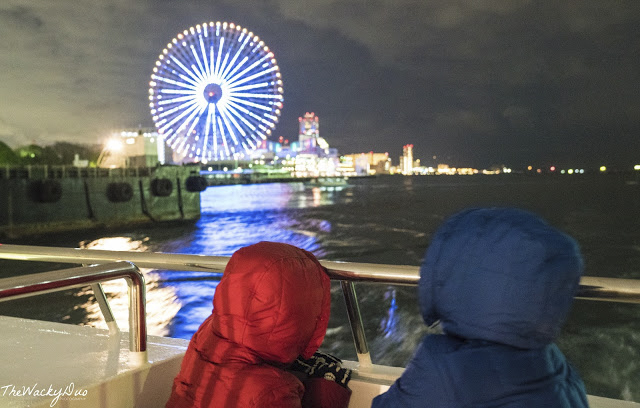 The ride is also included in the Osaka Amazing Pass that we had introduce earlier. 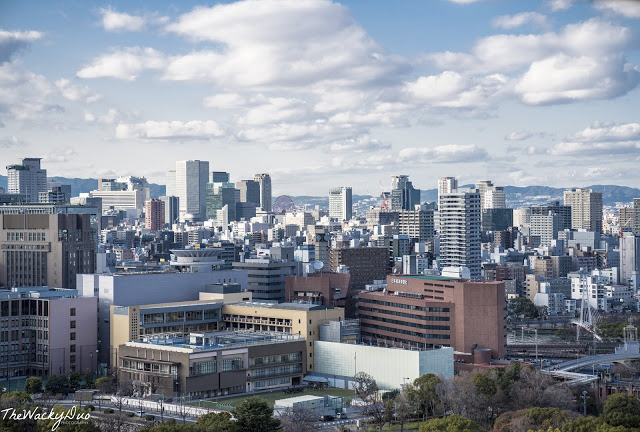 You probably can see half of Osaka from the top. 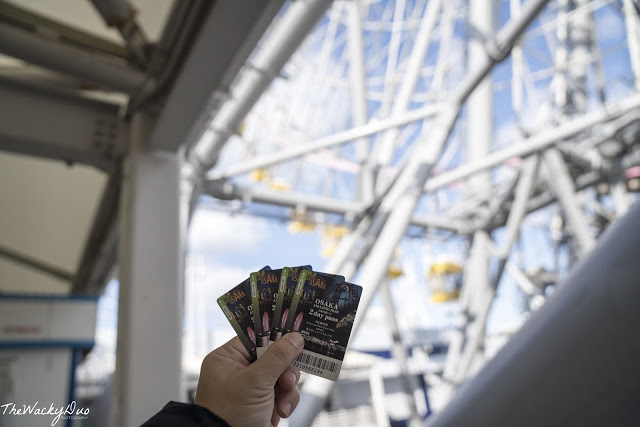 Most of the time you will be trying to spot familiar buildings from your Ferris Wheel. At 112.5 meters with a 60 passenger cars, it used to be the world's tallest Ferris Wheel... until the London eye comes along. 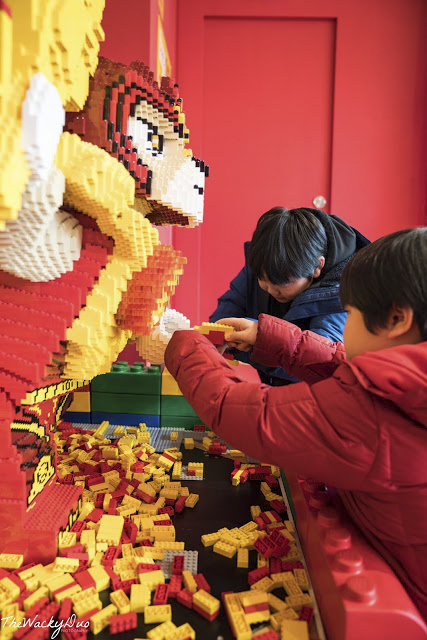 Next stop was Legoland Discovery Center , Osaka. 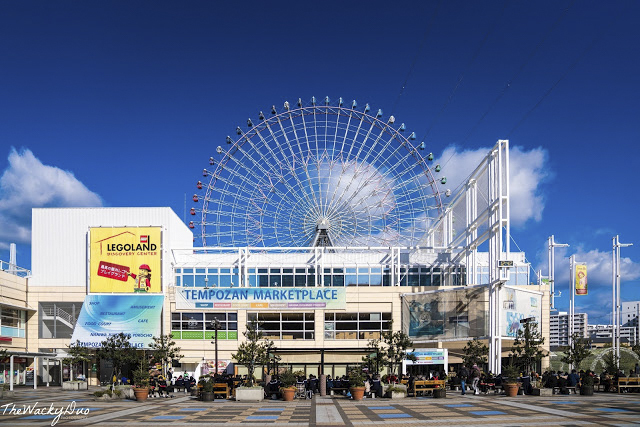 Initially we toyed with the idea of heading to Nagoya for the new Legoland. However, due to the lack of time, we decided on this alternative instead. 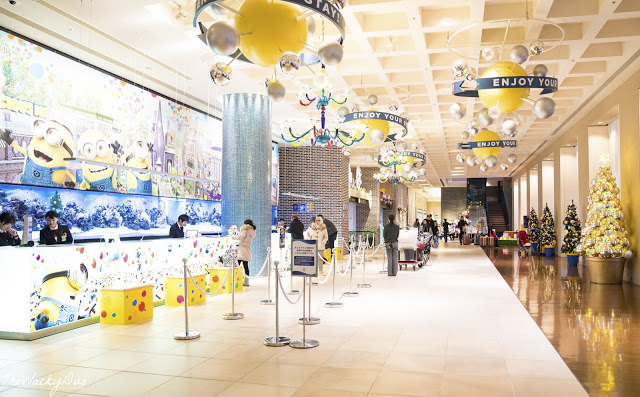 Having been to the one at Tokyo, this Discovery Center is almost similar in terms of attractions. The Discovery center was a tad smaller than the one at Tokyo. It will make a good 2 hours stop if you are in the area. However if you have bigger kids, this might not be that suitable as it is targeted at children under 10. 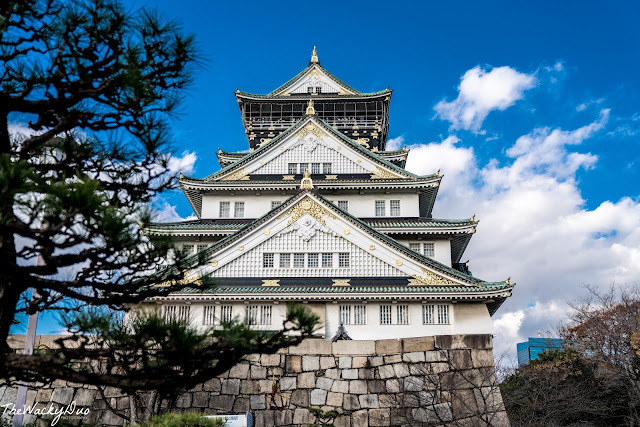 This attractions was covered by the Osaka Amazing Pass. 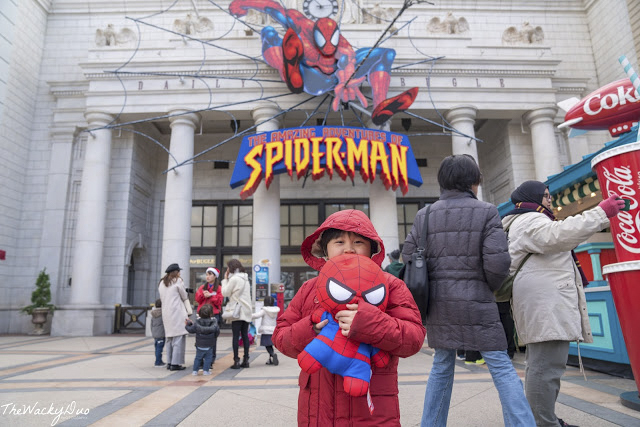 With just 3 attractions covered today, the entrance fees would already exceed the cost of the Pass. It was truly amazing! Dinner was Katusdon at the food court. Having eaten in restaurants and food court, both are equally good. The food court cost about 10-20% cheaper, but they are pretty generous with their portions. 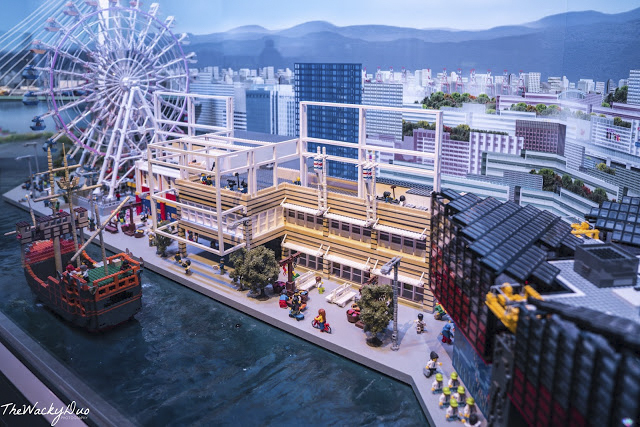 There is also the Naniwan Food Theme Park next to the food court itself. It may be interesting to explore and have your meal there instead. Soon it was time to head back to the hotel to recharge for another day! We were at the halfway point of the holiday. It was time to bid farewell to Hotel Universal Port as we made our way to the next hotel in Dotonbori. With 4 luggage , it was not possible to call a cab to fit everything in. We decided to be adventurous and take the train instead. Let's say it was challenging, but we made it at the end. We need to change 2 trains to make it to our hotel. 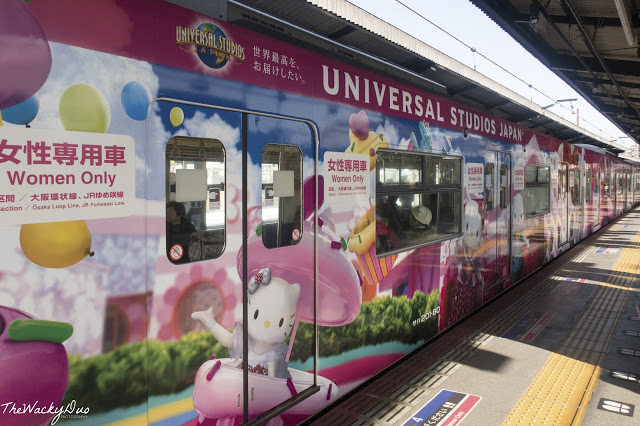 We took the train From Universal City Station and changed to another train at Nishikujo. Along the way , we had to navigate flights of stairs. 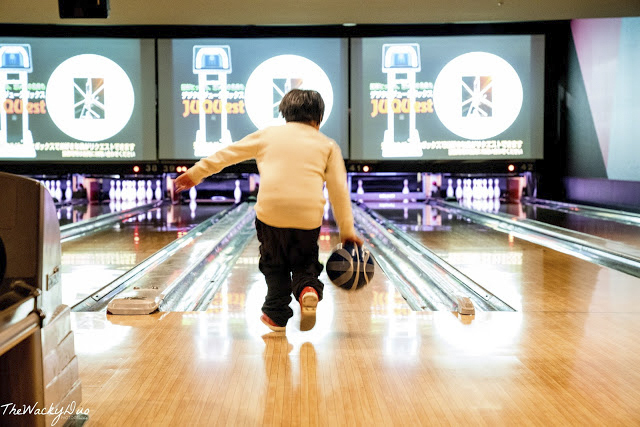 If you have younger kids, this part may be challenging. Fortunately, the boys are able to carry their own luggage for this. From Nishikujo , we took another train to Osaka-Namba. The journey took us about 30 minutes in total. Given that we are too early to check in, we decided to dump our bags in the hotel and continue to explore Osaka. Since we had the Osaka Amazing Pass, we decided to use it for today. We love to visit museums around the world. 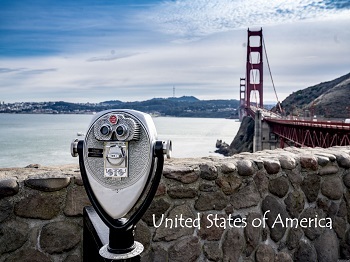 It is a quick way to get to know the history and culture of a city. 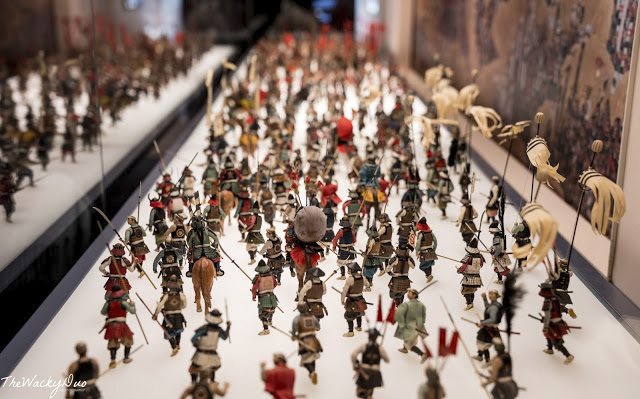 Our first stop was the Osaka Museum of History. 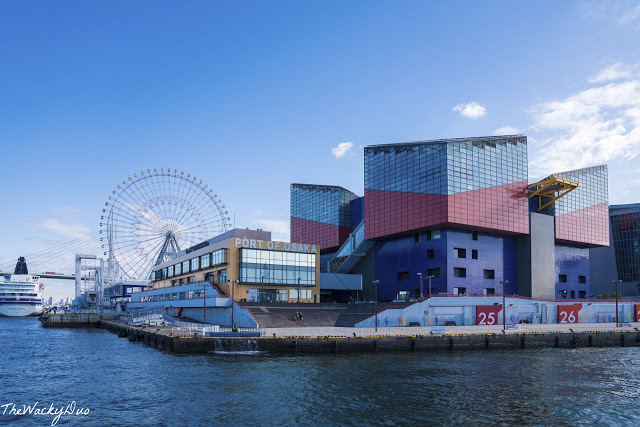 The good thing is that this museum is covered by the Osaka Amazing Pass. 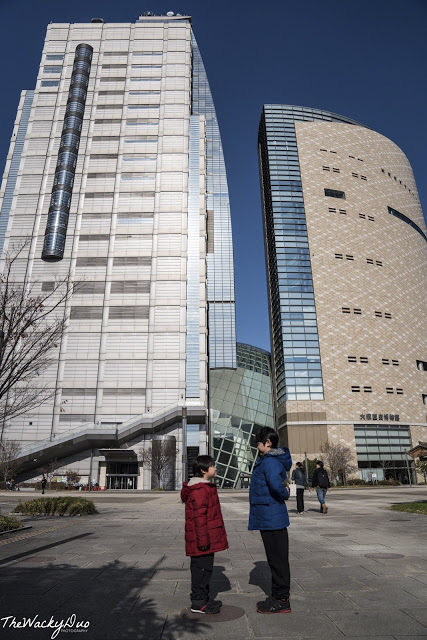 There were a few floors of exhibits to explore with explanations in English. 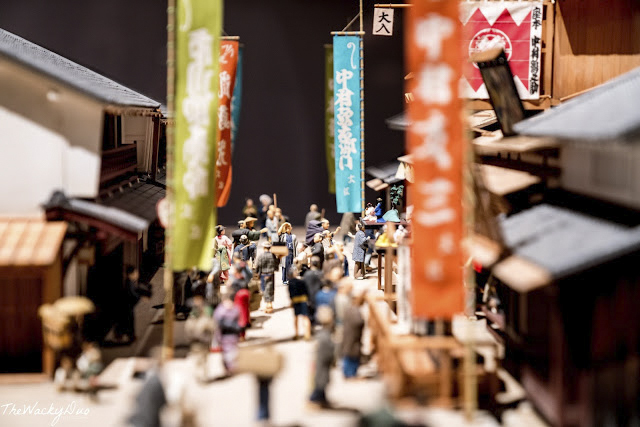 Our personal favourite would be the miniature displays of Old Osaka. 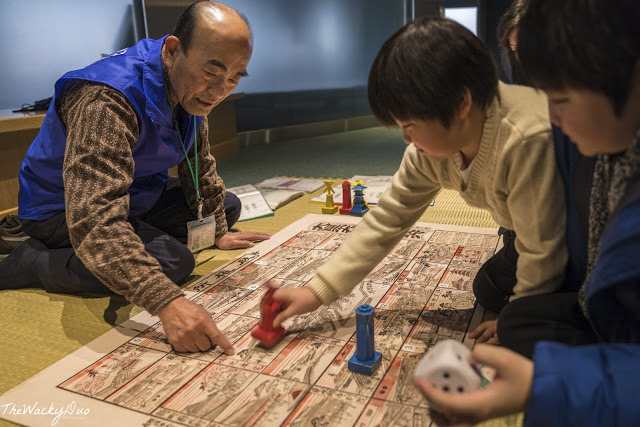 Other than interactive stations, we also played a game of Japanese Snake and Ladder with the staff. The elderly staff actually spoke perfect English! 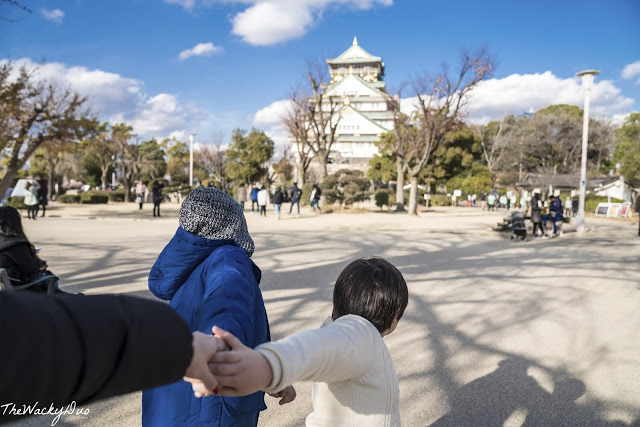 What do you do when you get to Osaka Castle? Do you know the original castle was destroyed not once but twice? The first time it was destroyed by invaders . The second time it was struck by lightning in 1665 and burnt down. The current castle was only build in 1931! As such , do not expect much indoors. We were expecting an ancient castle decor, but were greeted with modern rooms that look no differ from an office. There were a few exhibits but the most interesting bit would be the view from the top of the castle. 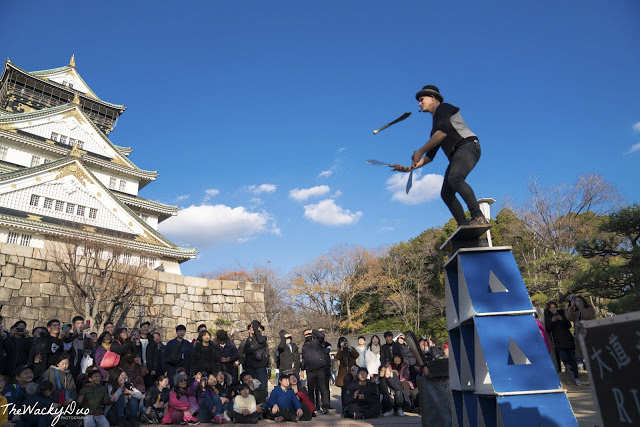 On the flip side, we were entertained by a Canadian juggler just outside the castle. As entertaining as it is, we do wish it was a local performer instead. Somehow seeing a foreigner perform in Japan is a little odd considering that it is a country that prides its own culture. 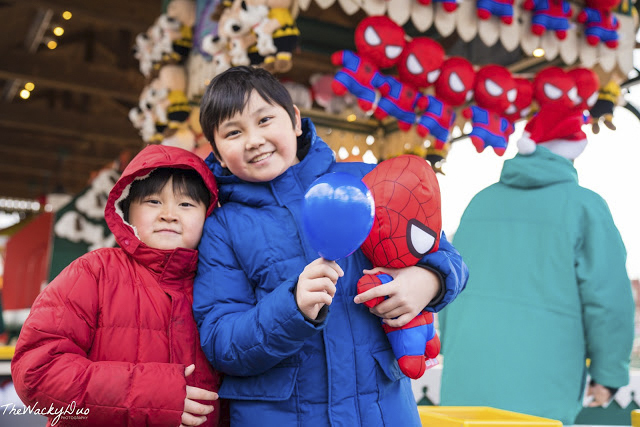 Before you go, grab a bite or ice cream from the food stalls located outside the entrance. Our next stop was the HEP FIVE Ferris Wheel. Initially, we wanted to visit the Umeda Sky Park, however since night is approaching , we have only time for one. 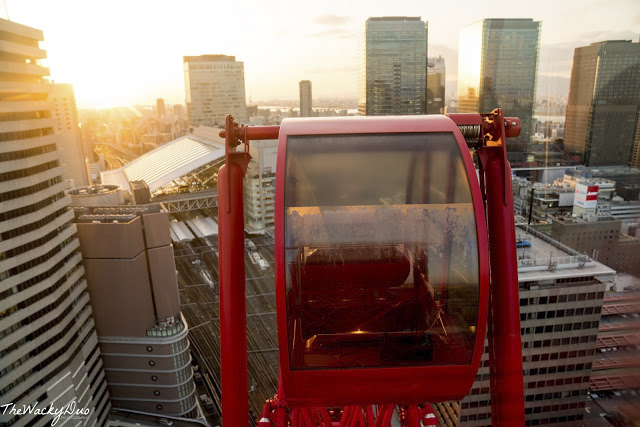 We choose the former as it was closer to the train station (5 minutes) walk compared to a 20 minutes walk to Umeda Sky Park. If you have time, we recommend to to do both as they are covered by the Osaka Amazing Pass. Tried as we did, the family was too tired by all the walking for the past few days. You probably could do it in the Summer where the days are longer. By the time we checked into Cross Hotel, it was already dark. 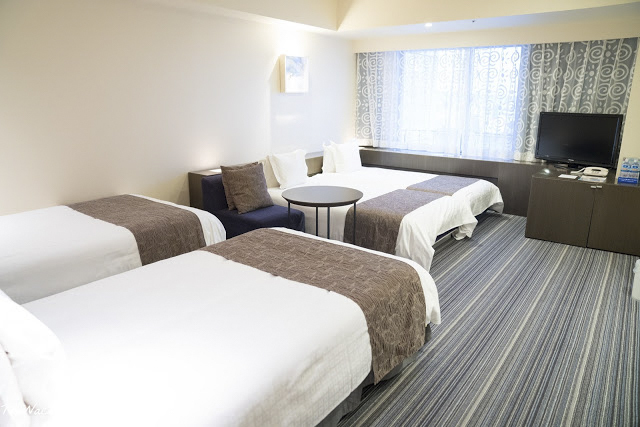 The main reason we choose this hotel was because of its location ( in between Dotonbori Food Street and Shinsaibashisuji Shopping Street). The downside is that the Hotel had only 3 beds. 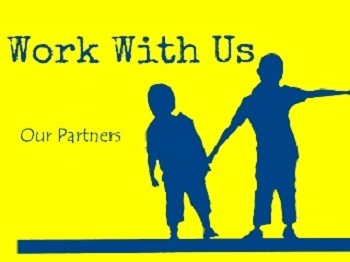 However they do allow 4 occupants if it is a combination of 2 adults and 2 kids ( below 12) . 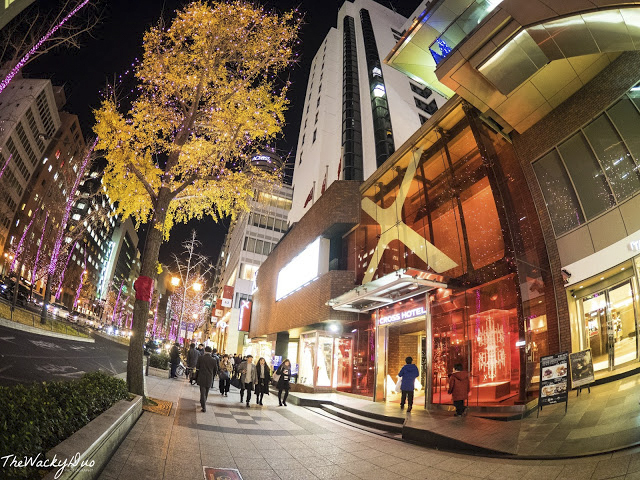 Want to stay in Cross Hotel? We put the luggage in the room and head off to Dotonbori Food Street, Before that we stop by the iconic Dotonobori River to admire the Neo lit buildings lining its side. 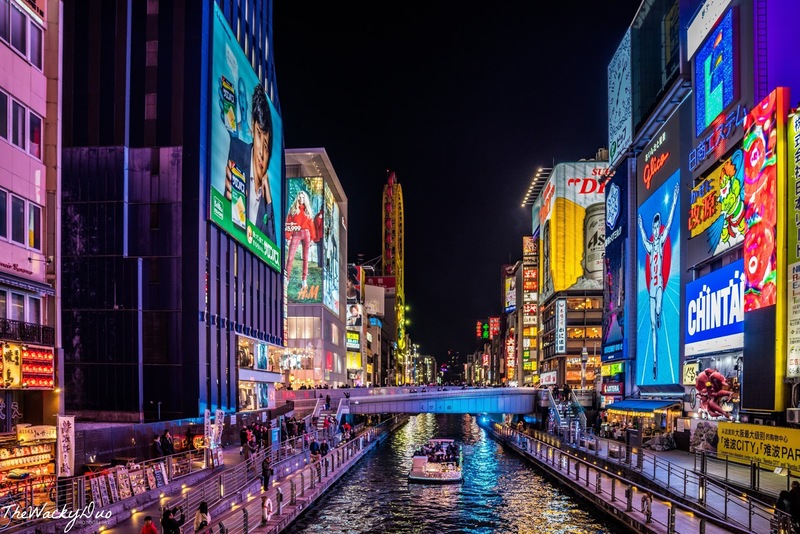 Need more hotel options in Dotonbori ? 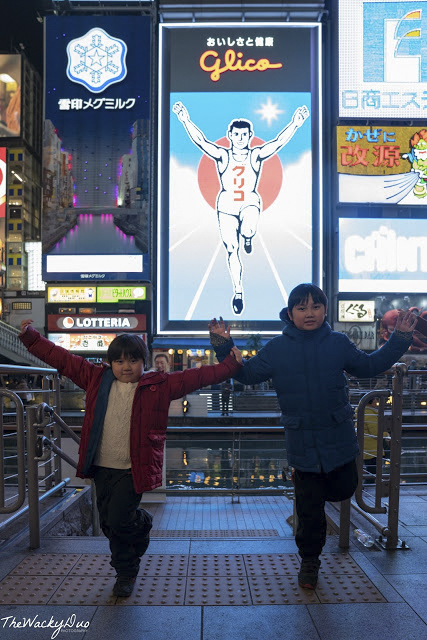 It will be mandatory to take a photo with the Glico man while you are there! It was time to hit the street to fill our tummies. Dinner was simple ... eat whatever we could find on the streets. 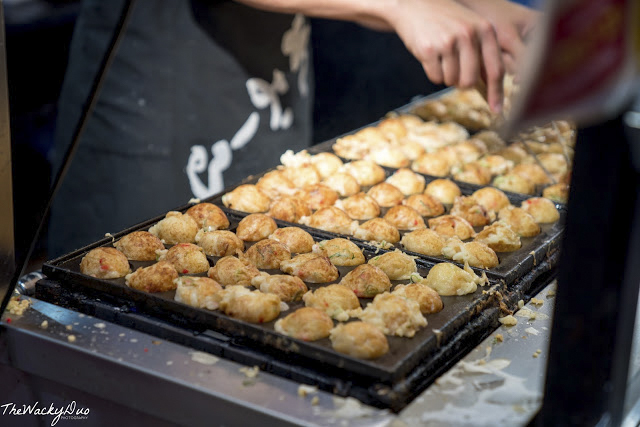 We made a few stops at stalls selling Kanidouraku ( Crabs) , Gyoza, Yakitori , Takoyaki and more. 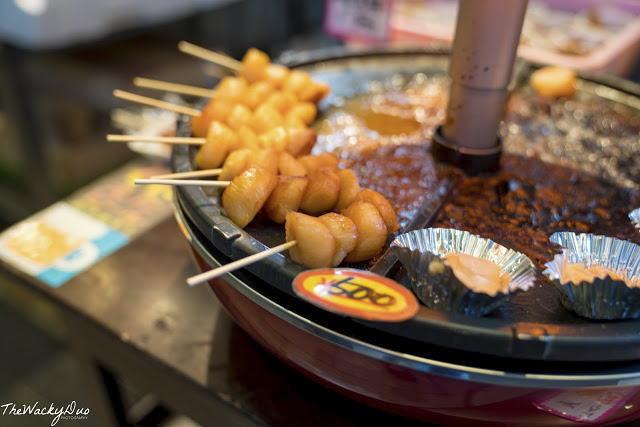 You can check out our feast at Dontobori Top 10 must try street food. Having ate our fill, it was back to the hotel for a well deserved nightcap. After our delicious first Breakfast at Cross Hotel, we are all set for a day trip to Nara Park! Initially, our room included 3 adults breakfast vouchers, the staff was kind enough to change one of the adult voucher to 2 children voucher. Thumbs up for the initiative! 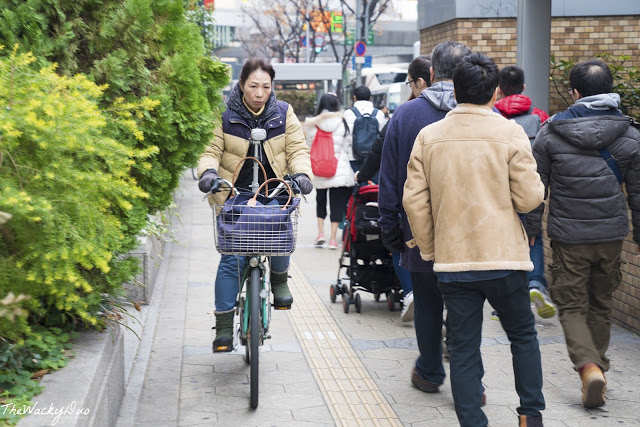 While on our way to the station, we were met with numerous bicycles on the pedestrian path. 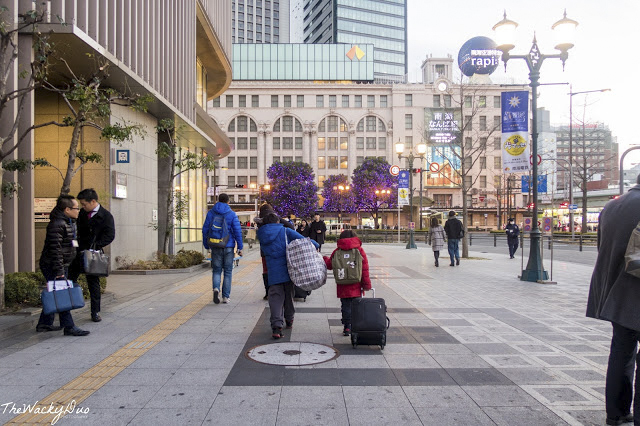 This is the norm in Osaka, so put down the phone and watch where you are walking in Osaka. We are going to meet some deers today. Getting to Nara Park from Dotonbori is a breeze. 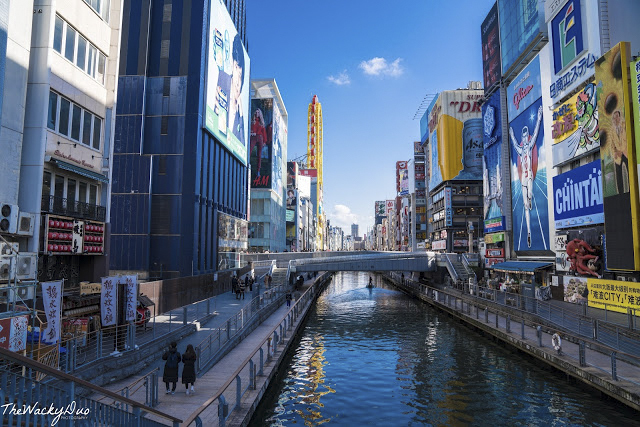 We head to Osaka Namba Station that was within walking distance and took a straight train to Nara. The train journey itself took less than 40 minutes and we landed in the land of deers. 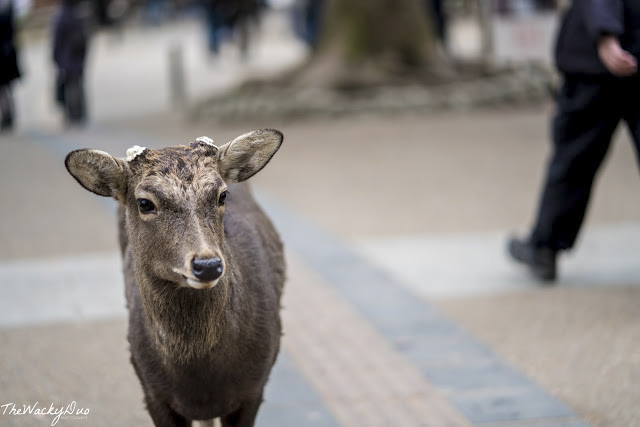 Other than deers, Nara Park also houses a few temple compounds such as Kofukuji and Tōdai-ji. 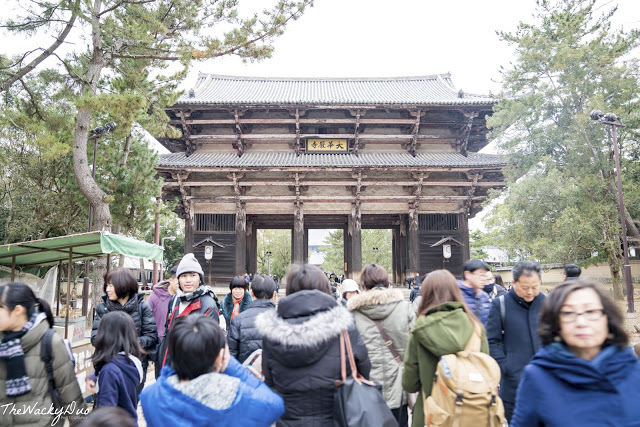 After walking pass the imposing Nandaimon Gate, we reached Tōdai-ji Temple . 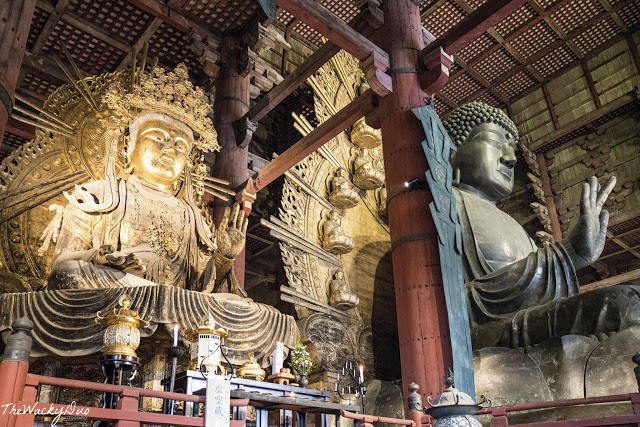 Tōdai-ji Temple housed the world's largest bronze Sitting Daibutsu (Budda Vairocana) in Japan. The Daibutsuden itself is the world's largest wooden building. The temple is also a UNESCO World Heritage Site . Other than the Daibutsu, there are other smaller statues in the building. There was also a pillar at the back with a hole. 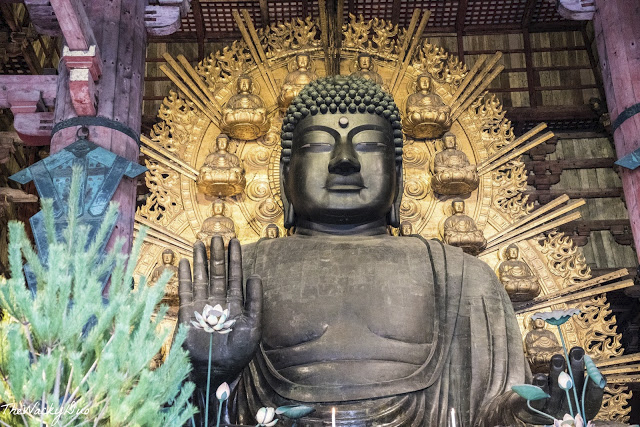 The hole is said to be the size of the Daibutsu's nostril. If you can climb through it , you will receive enlightenment. Due to Daddy's size, he was wise enough not to try. Before leaving Nara, we made a stop at Nakatanido. 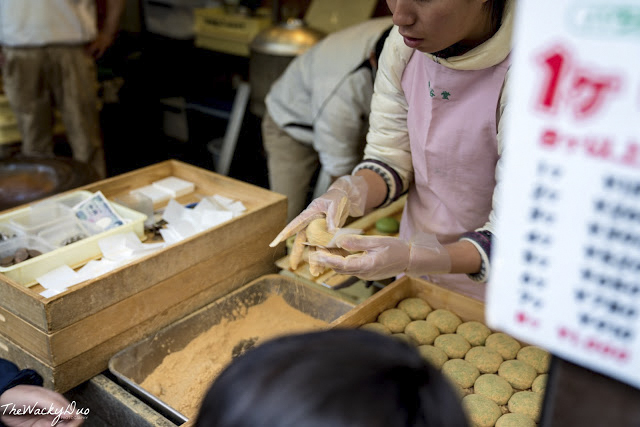 Nakatanido is well known for its Mochi Pounding performance. 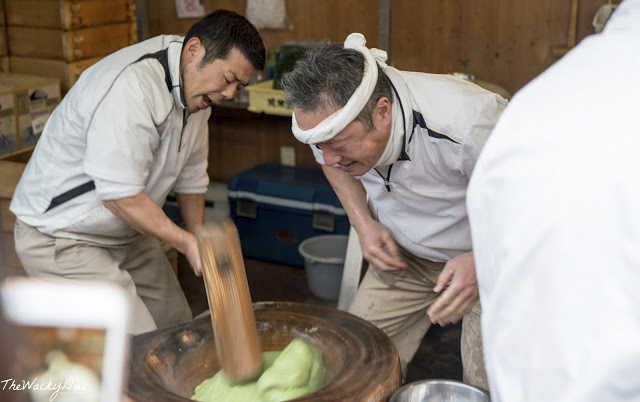 Mochi is made live on the sport through the vicous pounding of the Mochi dough. Words cannot simply describe the world's fastest Mochi Pounders. Don't forget to get yourself a warm Mochi to try after the performance! 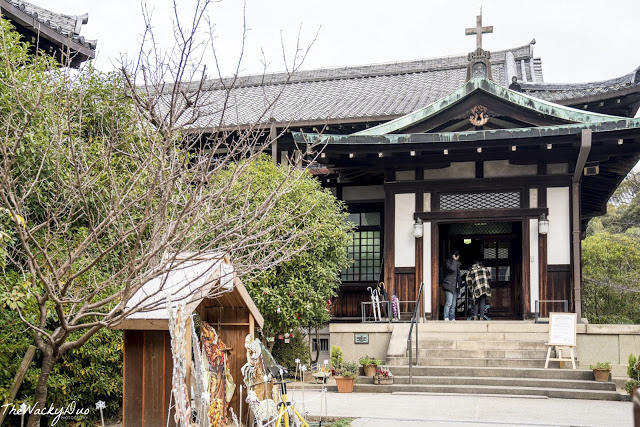 On the way to the station, we spotted a quaint Anglican Church in the middle of Higashimuki Shopping Street - Nara's famous shopping street. 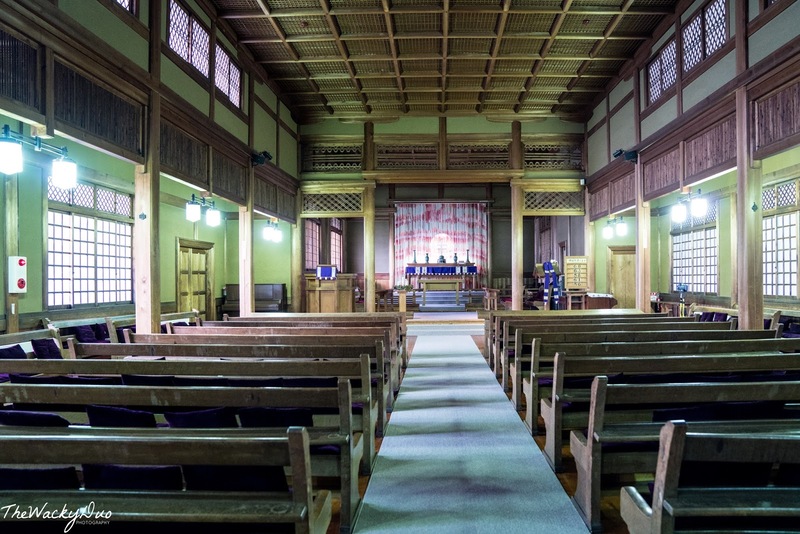 It was rather odd to find the Narakirisuo Church. The church resembles an ancient Japanese house, but step inside , you will see the unmistakable layout of a church, It was a surreal sight in the heart of Nara. Soon, it was time to head back to Dotonbori. 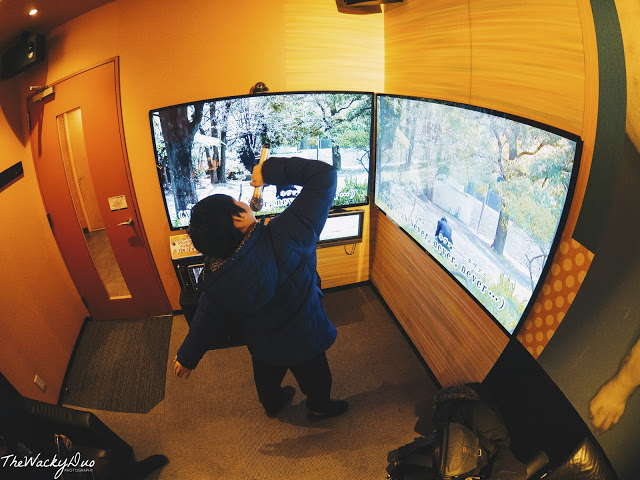 If you think DIY is tough and want a Fuss Free Nara Day Trip, go for day tours from Klook. 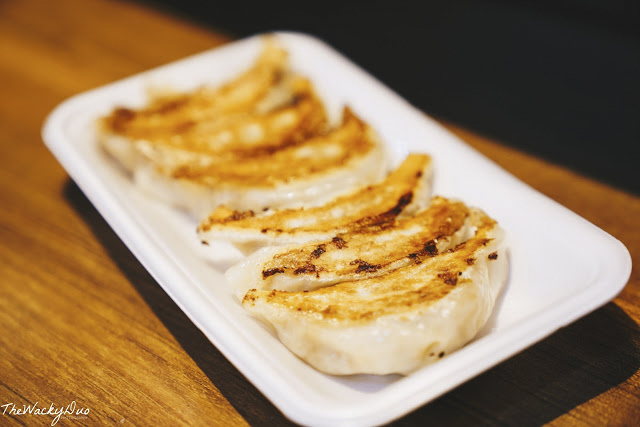 We found a cute little place that sells pretty reasonable Japanese Fare. 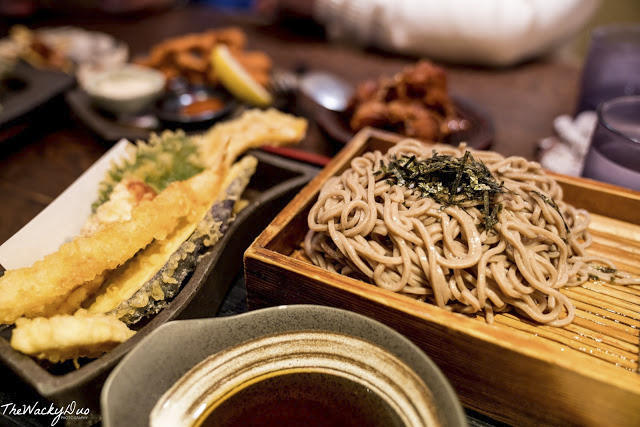 Soba and Tempura was dinner. 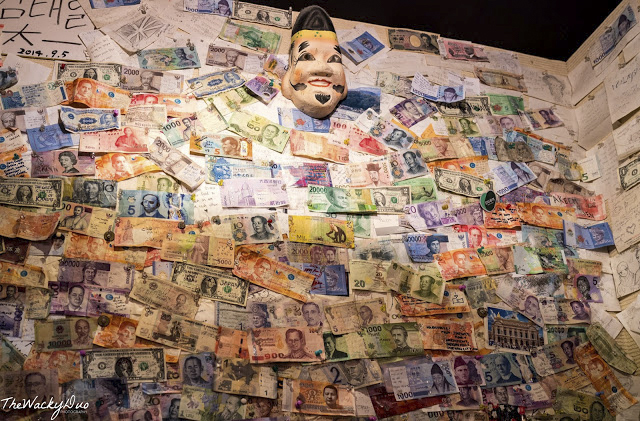 If you happen to see a wall of Money, it will be the place, Try to spot your own country's currency there. We took a stroll on Ebisu Bashi-Suji Shopping street before making our way back to the hotel. Another day... another day trip! 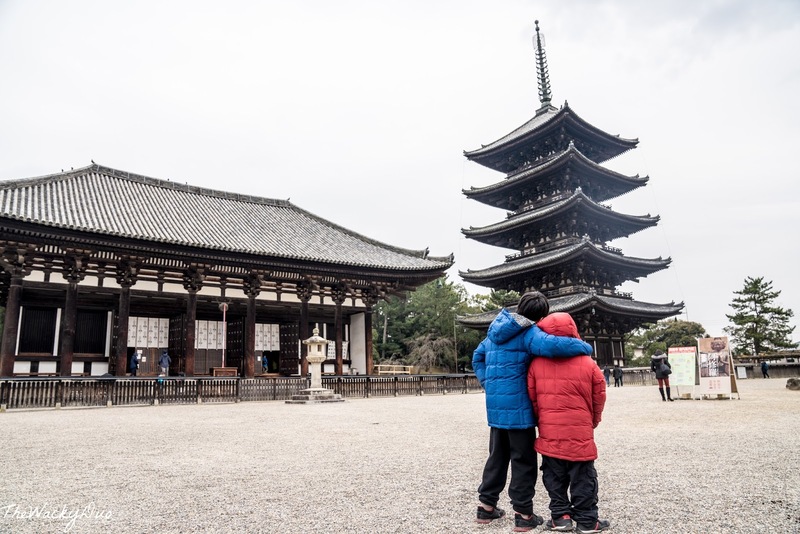 Want a fuss free way to visit Kyoto from Osaka? 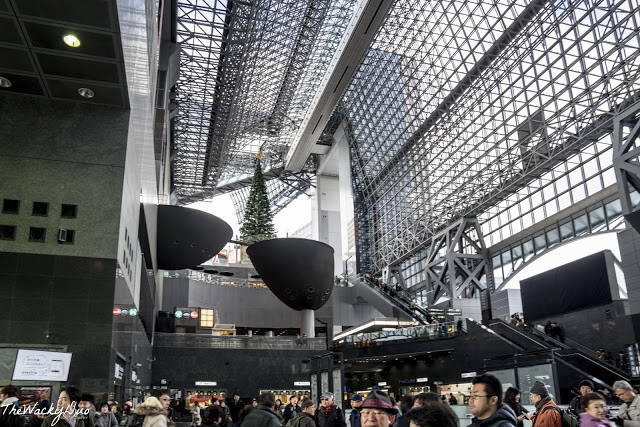 We took a train to Kyoto Main station before switching trains to Arashimiya. 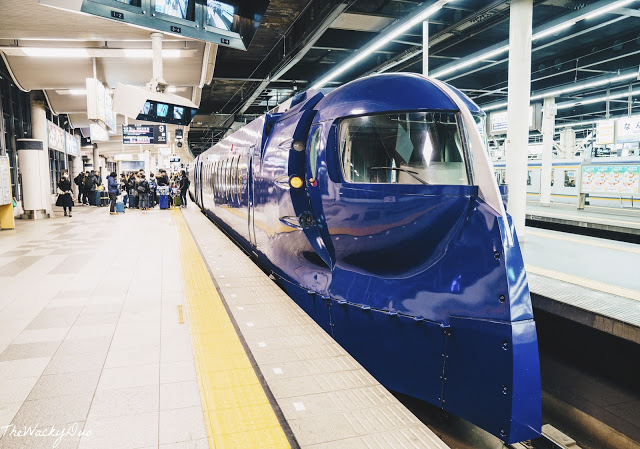 There are many ways to get to Kyoto from Osaka, You could consider the Rapid train and even the Shinkansen. If you are holding the JR pass, the latter would be the faster and best option. Otherwise, the normal JR trains would do just as well abiet about 15 minutes longer. The whole journey took us a manageable 90 mins. 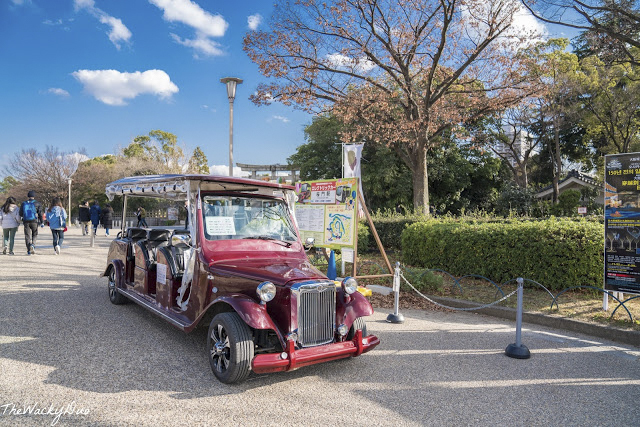 Do not worry about the final fare, you can do a top up before exiting the station ( the trip from Osaka Station does not indicate fare to Saga-Arashiyama. 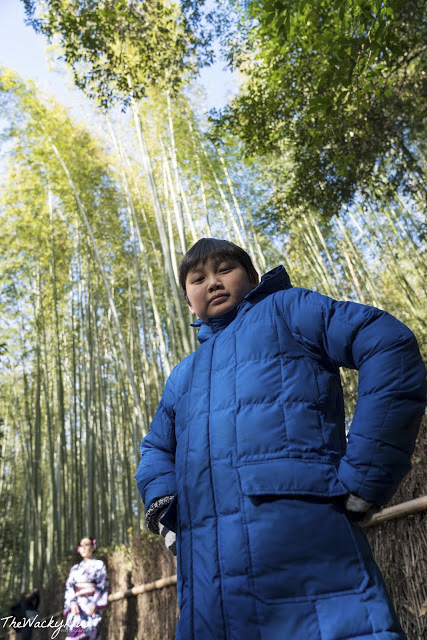 After about 90 minutes , we arrived at the Arashiyama bamboo Forest. Getting to the Forest was a tricky affair. We used Apple Map on the phone to guide us. 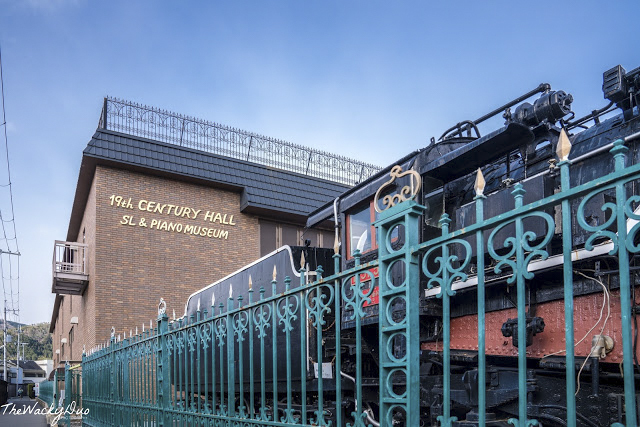 Otherwise, when exiting the station, look for a Locomotive Display. Follow the small road and make a turn towards the main road. Go straight ( not on the main road) and you will reach the entrance at the end of the path. Along the way, you should be passing a mini Shrine / Temple as above. 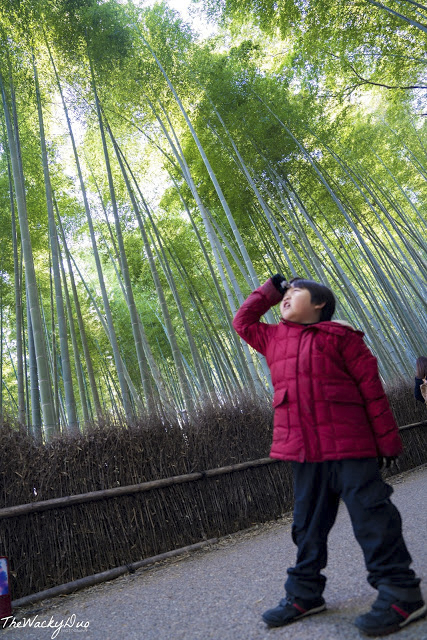 Arashiyama Bamboo Forest is located within a straight path . The most dense part of the forest is somewhere about 800 meters into the forest. Don't worry about getting lost as there is only one path in and out. 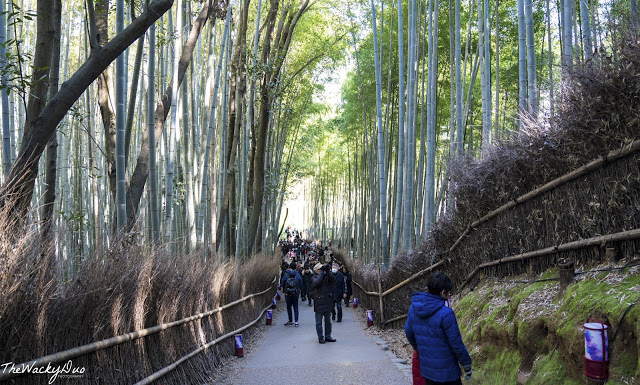 If you had seen photos with empty paths and bamboo forest, you might be a tad disappointed. It gets pretty crowded there during the day. 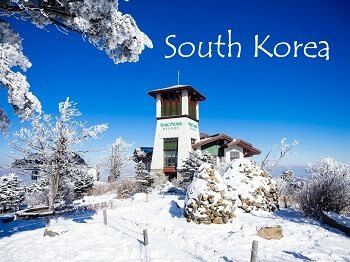 The best time to visit would be very early in the morning or late evening. 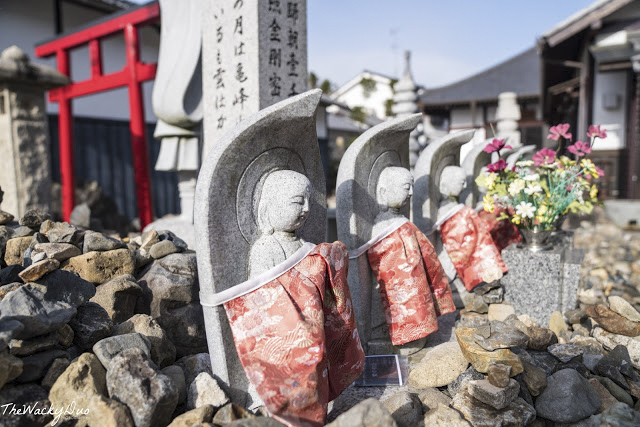 Along the way, you will pass by Nonomiya shrine and Tenryuji Temple. 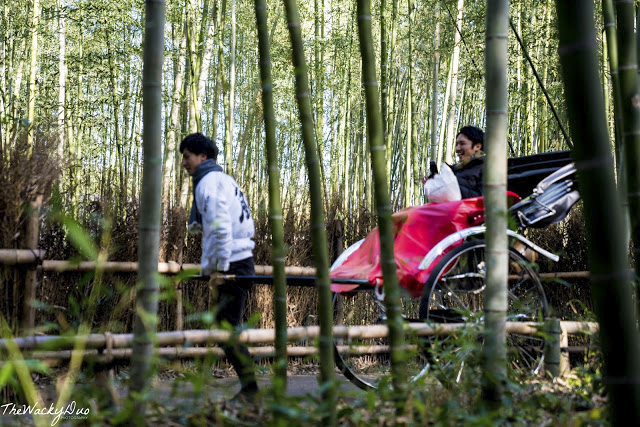 If walking is too tiring, you might hire a rickhaw and travel in style instead. There were food options just outside the bamboo forest. 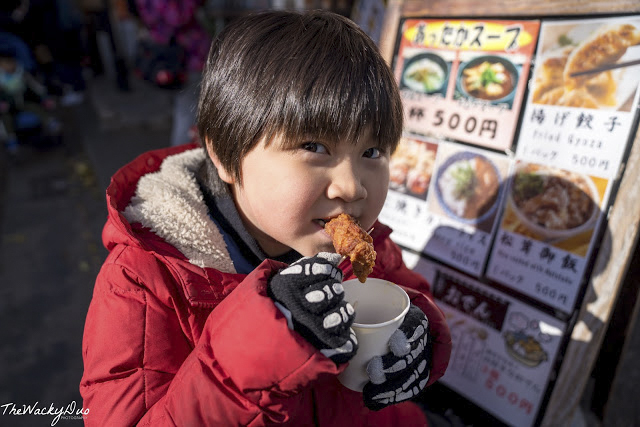 Grab a bite before heading to the next destination. 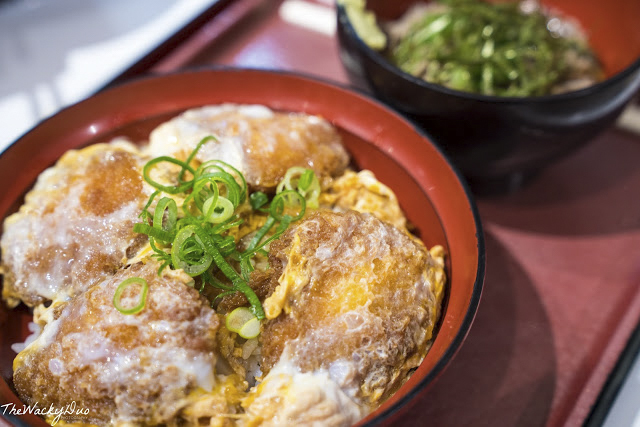 If you are heading to Fushimi Inari, we suggest not to fill up your stomach here as there are plenty more food options to choose from there. 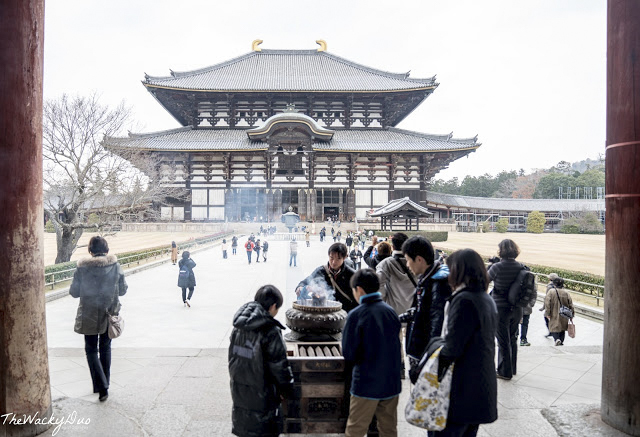 Want to visit Nara and Kyoto on the same day? 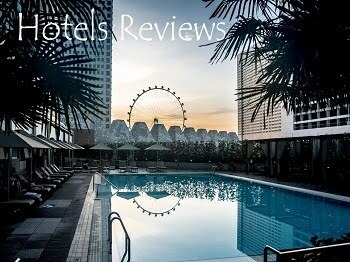 This is value for money as it combines 2 cities in one for those with limited time. 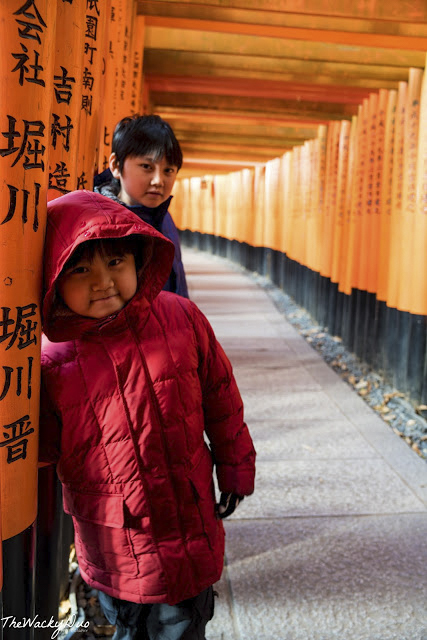 Our next stop was voted as Tripadvisor number one destination in Kyoto - Fushimi-Inari Shrine. 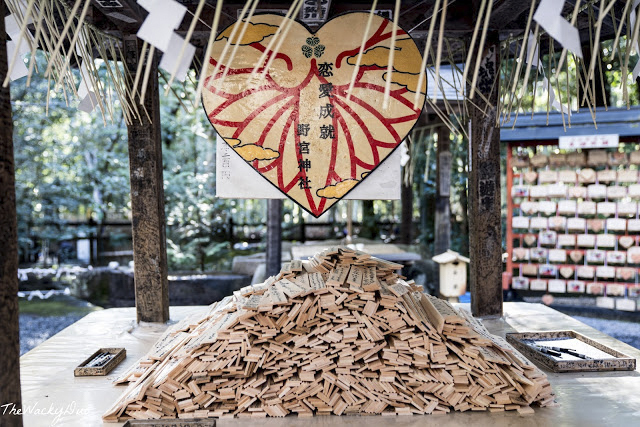 This shrine is considered to bean important Sinto Shrine in Kyoto. 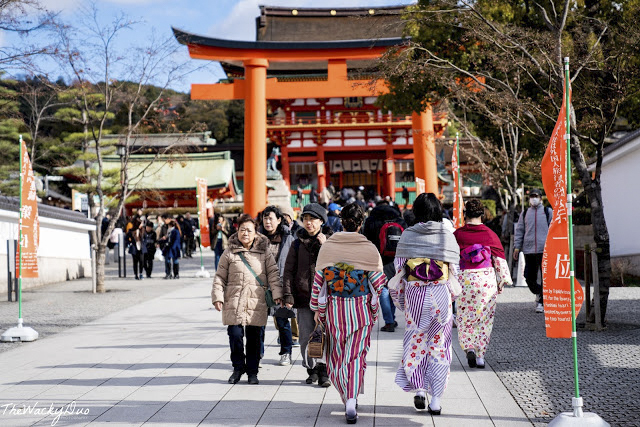 Here you could see many Kimono clad locals and foreigners alike all deck out to soak in the atmosphere. 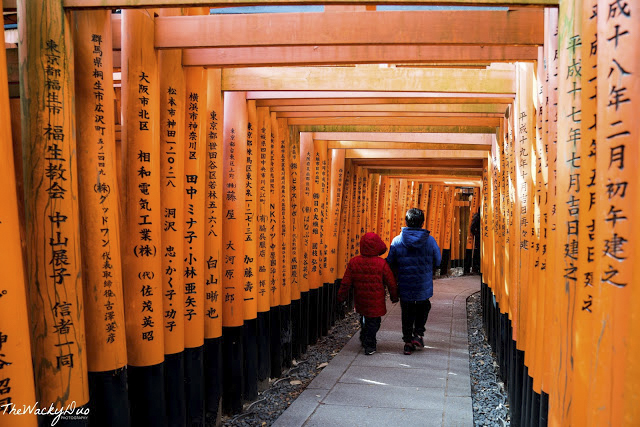 Fushimi-Inari shrine is famous for the thousands of Torri gates that line its path towards the wooden forest of Mount Inari. These Torri fates are donated by individuals and companies. The names of the donars are written on the gates. The hike to the summit takes about 2-3 hours. Given the long walk, you probably think you would have empty passages in front of you. In reality, it can get very crowded,especially in the beginning. If you want to get the perfect photo of just yourselves and the gates on an empty path, your best bet is actually on the way back. There are 2 sets of gates leading up. One is the entrance and the other the exit. Both are one way only. We suggest to take the first exit and make your way out. The exit has less people during the day and it is possible to find stretches all to yourself for that perfect pose! 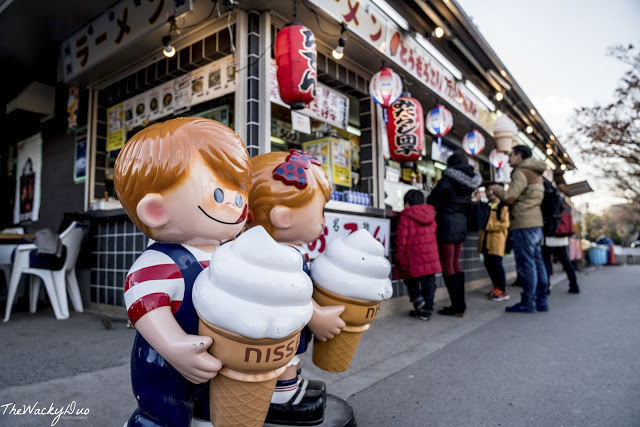 After the mini 'photo session', we head to the mini food street located next to the shrine. 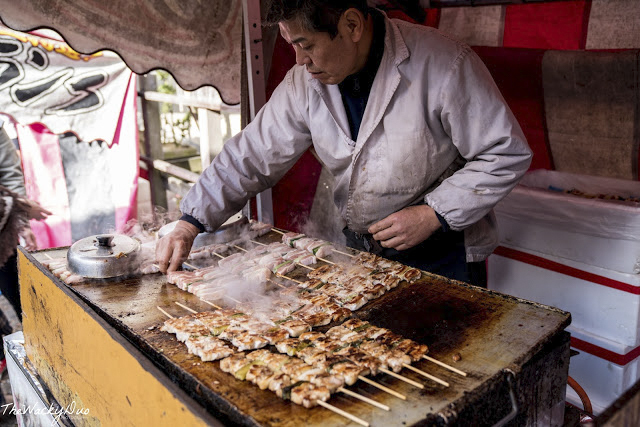 If you think Dotonbori has the best food in Osaka, we think this street has the best street food in Kyoto. The yakitori looked exceptionally good. 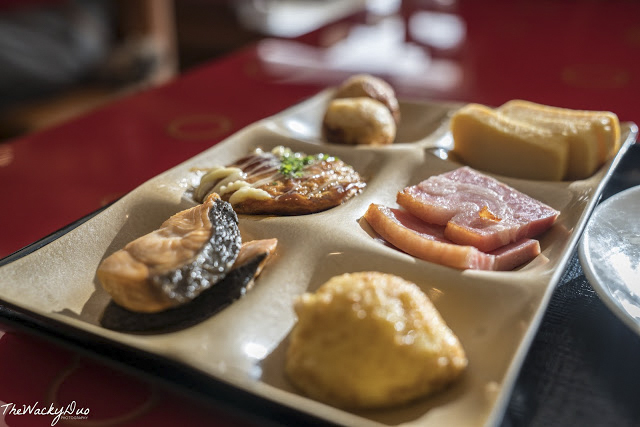 We recommend you to have a bite first before continuing your journey. 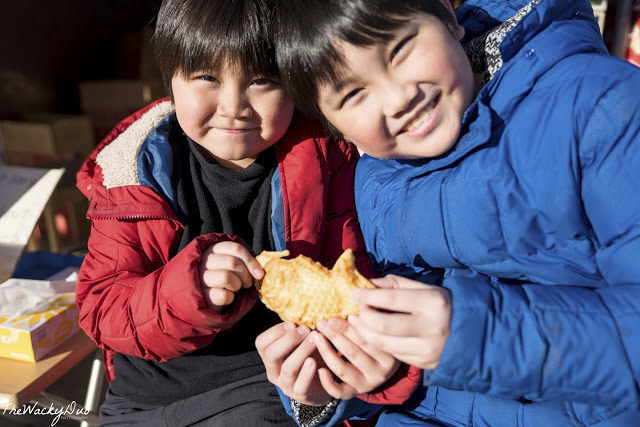 On the way back, we found a shop that sells the elusive Taiyaki (Japanese Fish shape cake with fillings), we just have to try it! 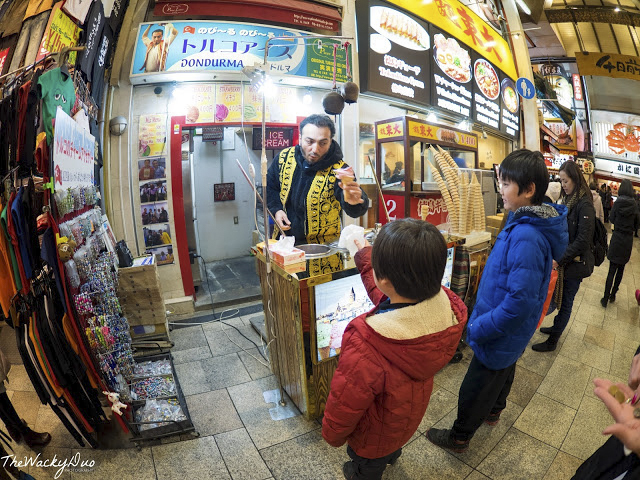 After a mini feast, we decided to head to Kyoto's Kitchen , Nishiki Market to search for more exotic street food to sample. 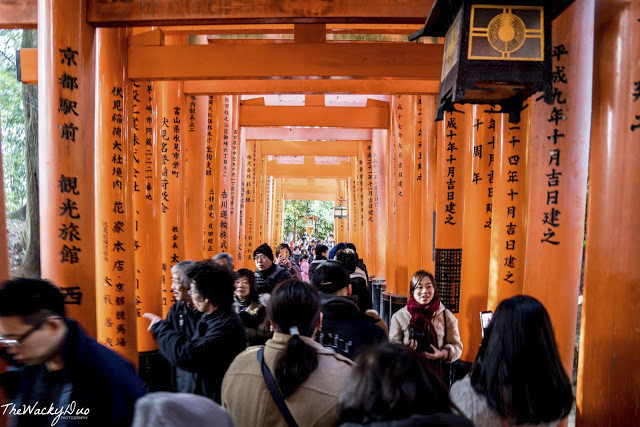 Getting to Nishiki Market is easy from Fushimi- Inari. 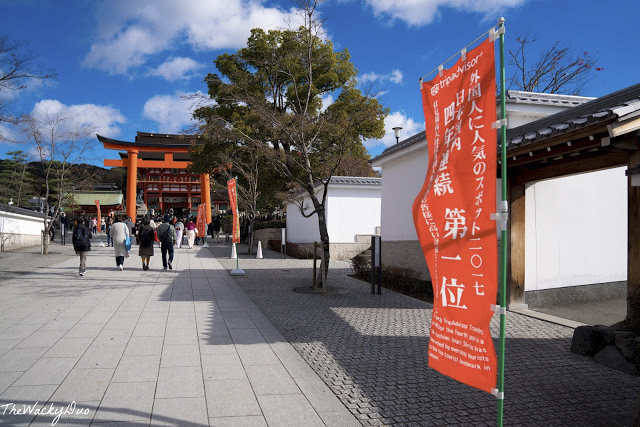 Just note that you have to take the train from the Fushimi-Inari station and NOT the Inari station. 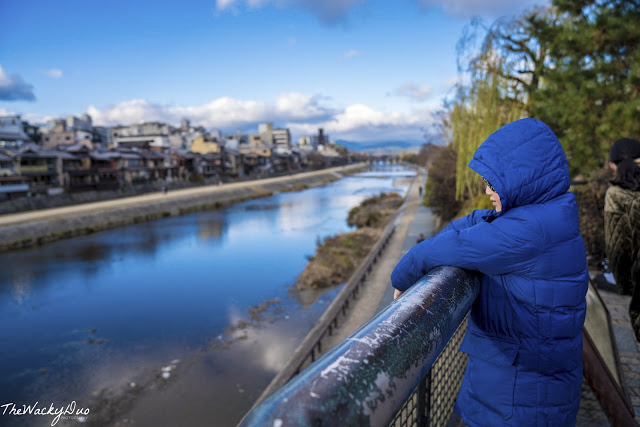 Upon reaching Gio-Shijo Station, you would have to walk past the beautiful Kamno River. 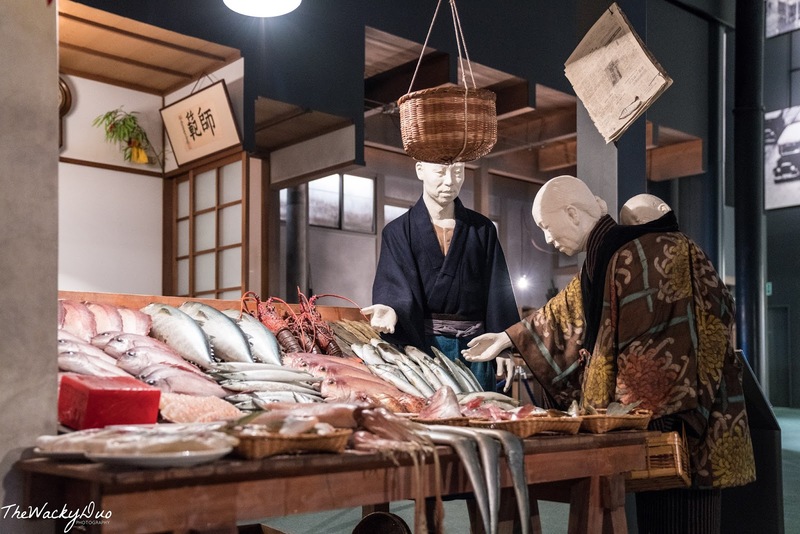 Nishiki Market is also known as Kyoto Kitchen. 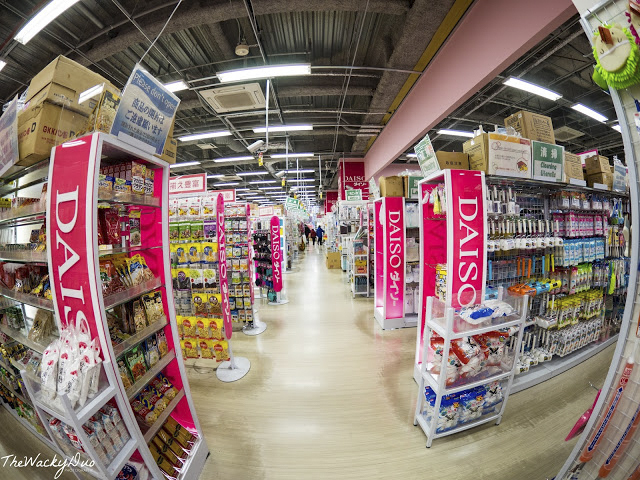 Here , you could find a wide variety of raw Japanese food to bring back to cook. 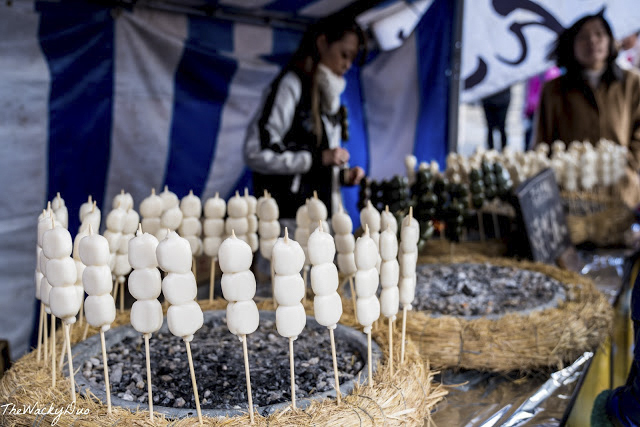 The street food scene here is different from your usual Japanese Street Food. 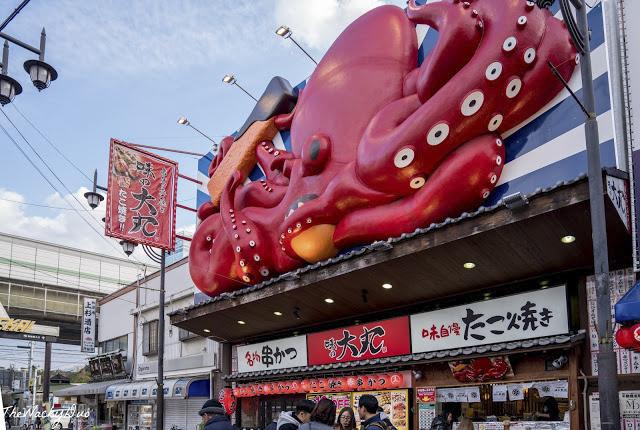 For one you could try the Octopus Head with Egg. This was the main reason why we are here as the young one wants to have a go at it! 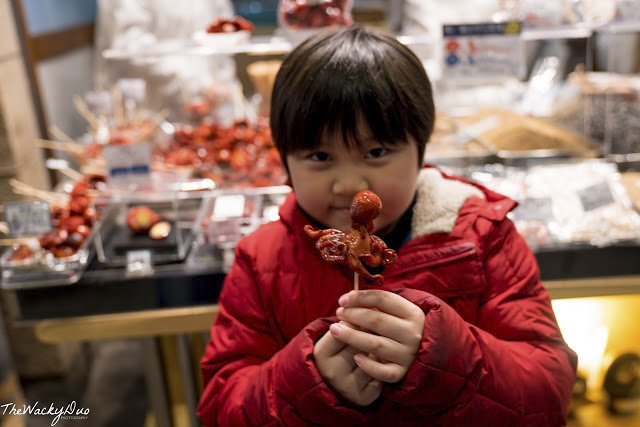 Nishiki Market can get really crowded and navigating it is challenging with small kids due to its narrow lanes. 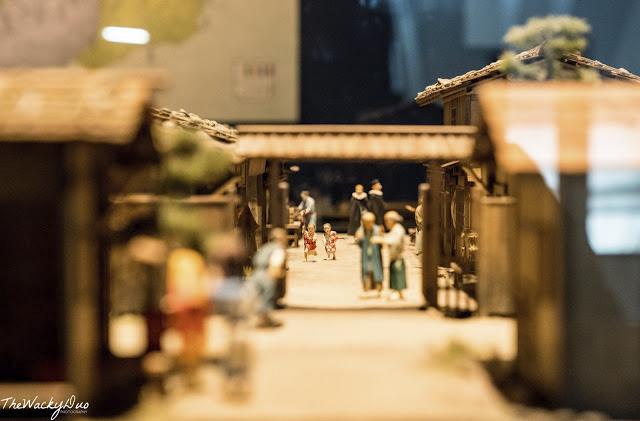 For those new to Kyoto, you might want to head to the nearby Ninenzaka instead to see the old Kyoto that lives in the traditional houses that lines the lane. 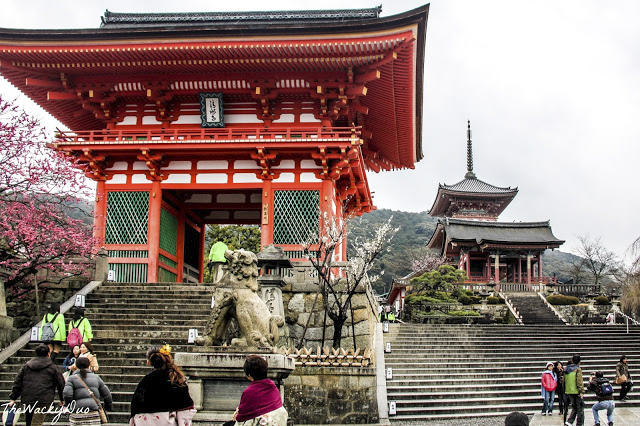 You could walk up to Kiyomizu Temple when you are there too. We were there a few years ago, so we decided to choose Nishiki Market instead for this trip. 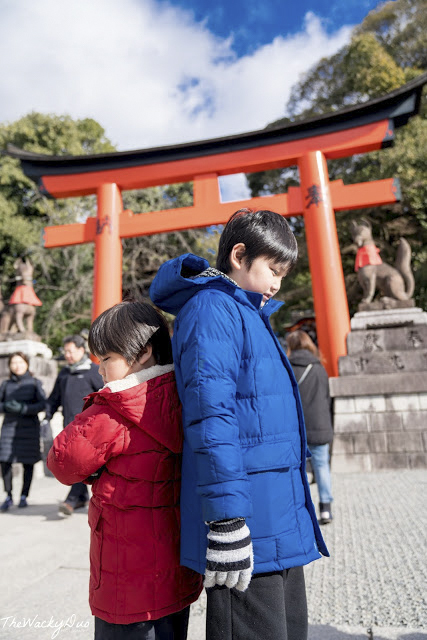 If you had been to Japan, you would know that Monday is not a good day for sightseeing. On Monday, most of the tourist attractions ( especially those run by the public sector) were closed! 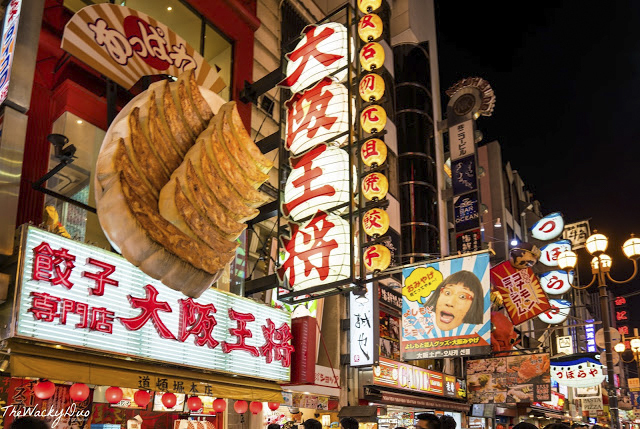 Since we were staying at Dotonbori, there was always shopping and food to keep us occupied. 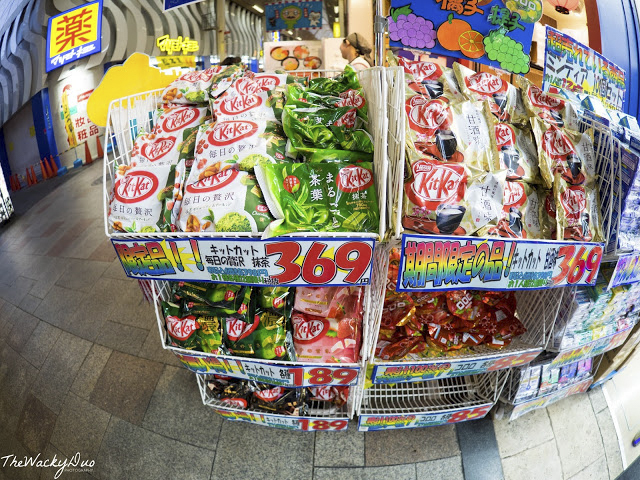 Time to find Japanese flavored Kit Kat to bring home. After shopping, we decided to take a break and headed to Round 1 for Karoke. It was slightly confusing to book a session. Basically you have to book a room and on top of it order a food/ drink item per person. We recommend to order food as drinks comes free flow at the counter outside. That is where we had our lunch too. For approximately SGD 40 , we got food and a room to sing to our hearts content for an hour. Not a bad deal in our books. 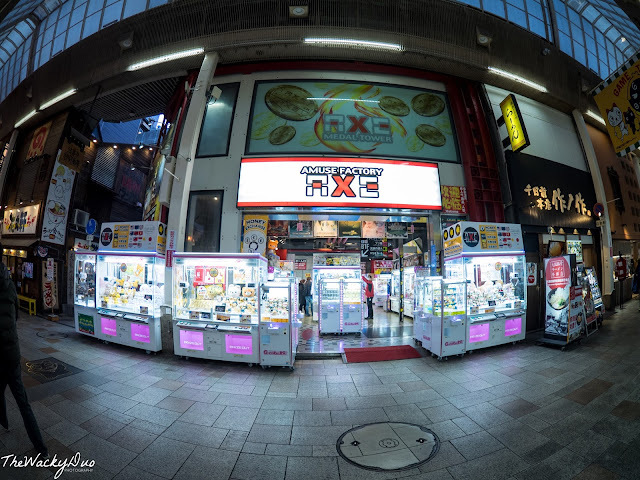 Next up , we hit the UFO arcades around Dotonbori. Besides Round 1 and Taito, there are at least 3 other smaller arcades in the vicinity. We visited most of them for the day. 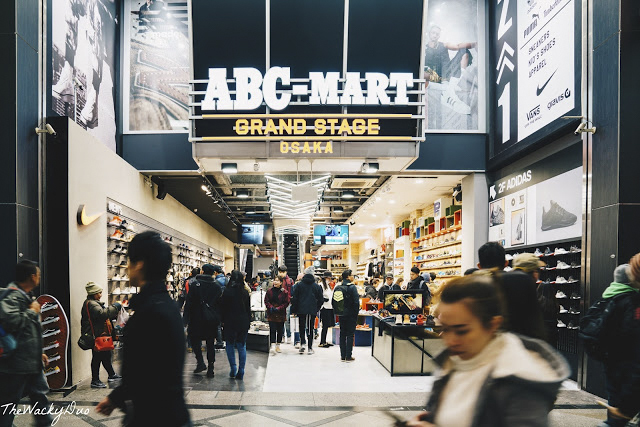 We think the branded name arcades are harder to win. We went to a No name arcade and had success there. How many toys did we save from the arcade machine ? 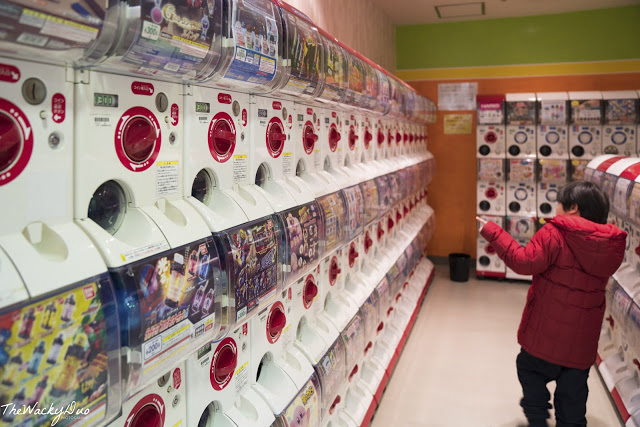 Before we show you, we are letting you in on out little secret...we are Ninja trained UFO Catchers in disguise. Check out our haul for the whole trip. How are we going to pack these??? 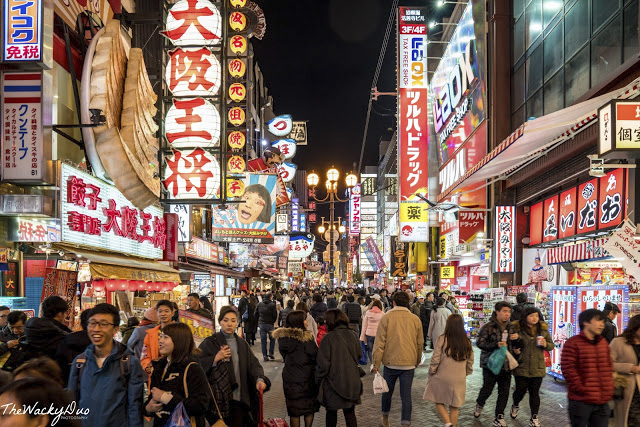 After stashing our catches in the hotel, we head back to Dotonbori to have one last bite at the Street Food. We were entertained by the Turkish Ice Cream man during our purchase. Sometimes, it is the process of buying the food that made it entertaining. We ate so much that we decided it would be best to showcase what we think you need to try in a video instead. Our flight was in the evening. We decided we still have time to do some sightseeing and headed to the nearby Tennoji Zoo for our last attraction. Zoo is another place we like to explore overseas. We had been to the Uneo Zoo in Tokyo, Targonga Zoo in Sydney, Perth Zoo and Melbourne Zoo. 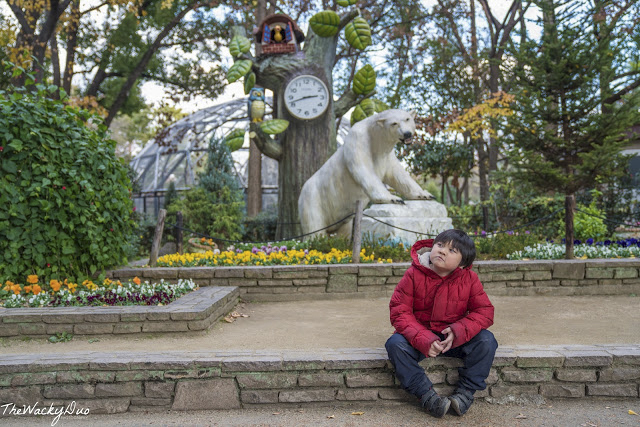 It is almost must to visit zoos on our overseas trip. 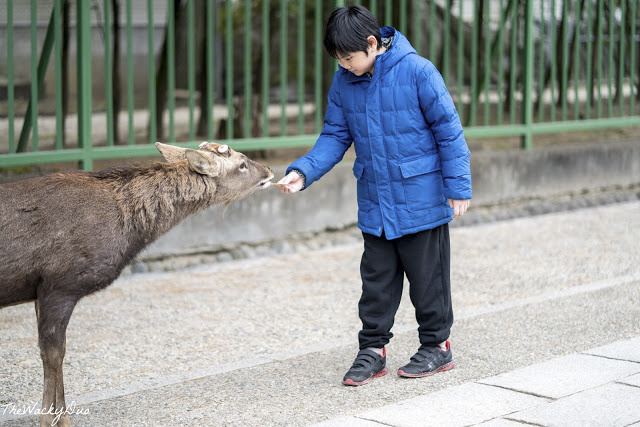 Tennoji Zoo is also part of Osaka Amazing Pass Attractions, so you can use it here too if time permits. The weather was pretty cool to visit the zoo. 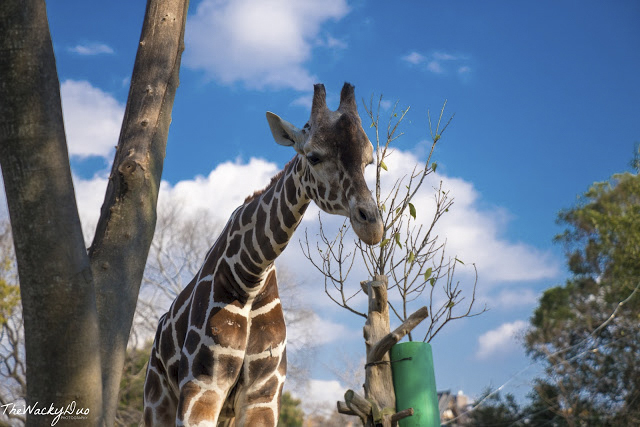 Compared to Singapore zoo, the Osaka Zoo is much smaller. Most of the smaller animals are housed in cage or small enclosed space. 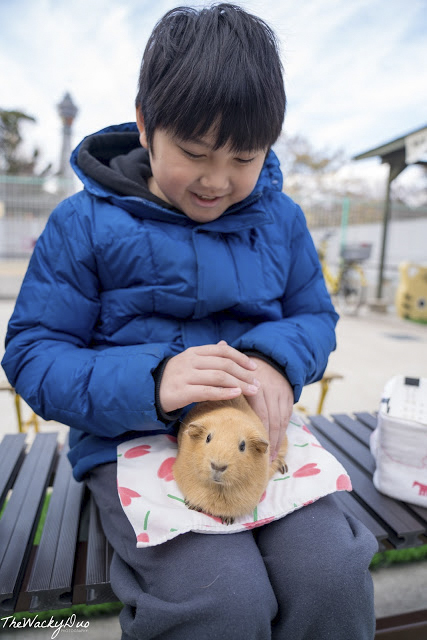 The highlight of the Zoo was the petting zoo where we get to pet a Guinea Pig. 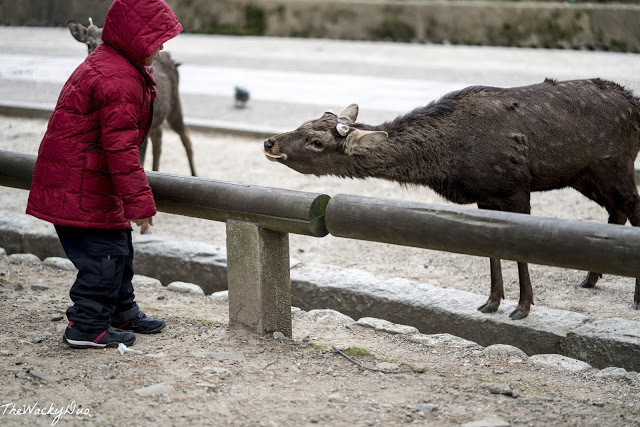 The downside to Tennoji zoo was the number of animals per enclosure. 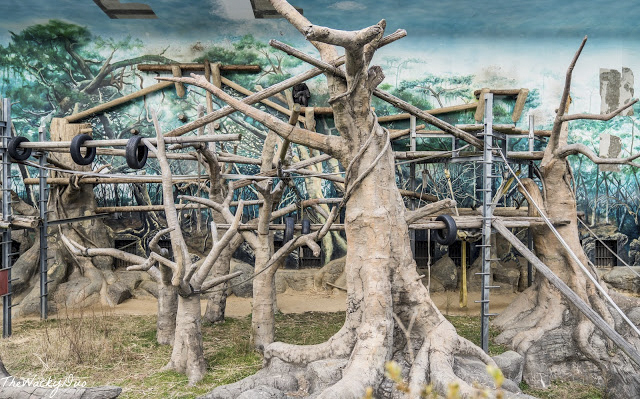 Most of the animals come in pairs, but we do see certain enclosure with only 1 animal in it. It can get pretty lonely sometime especially if you belong to a species that socialise. We spend a couple of hours in the zoo and soon it was time to head back to the hotel to pick up our luggage. 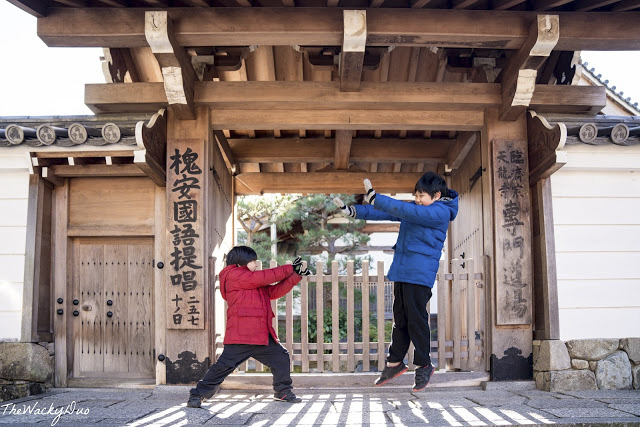 If you have more time in Tennoji, you could add nearby attractions such as the Shitennoji Temple and Tsutenkaku (the Effiel Tower of Naiwa') on the list. 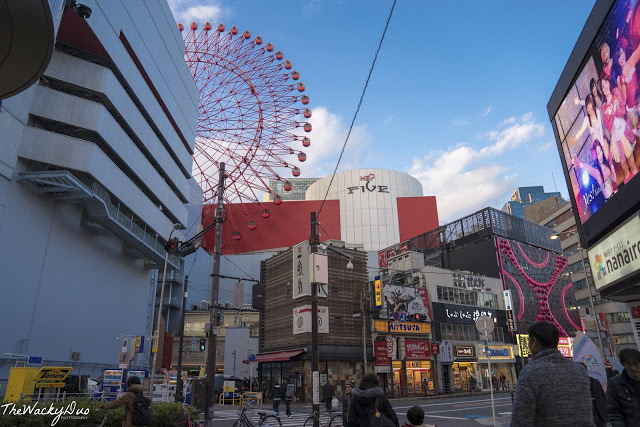 The shopping district of Shinsekai is also a tourist attraction resembling the streets of Dotonbori. The shopping district is just opposite the Zoo. 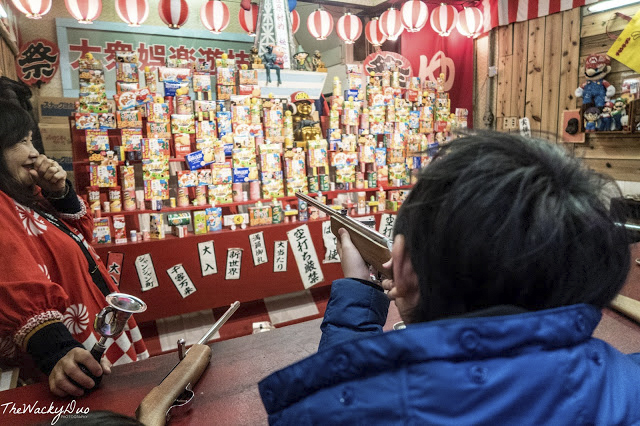 There was even a shooting gallery there for you to win some snacks. Naturally, we had to try it before heading back. Soon it was time to leave for Kansai Airport. We took the ANA flight back, so it will be a flight back to Tokyo before connecting back to Singapore. 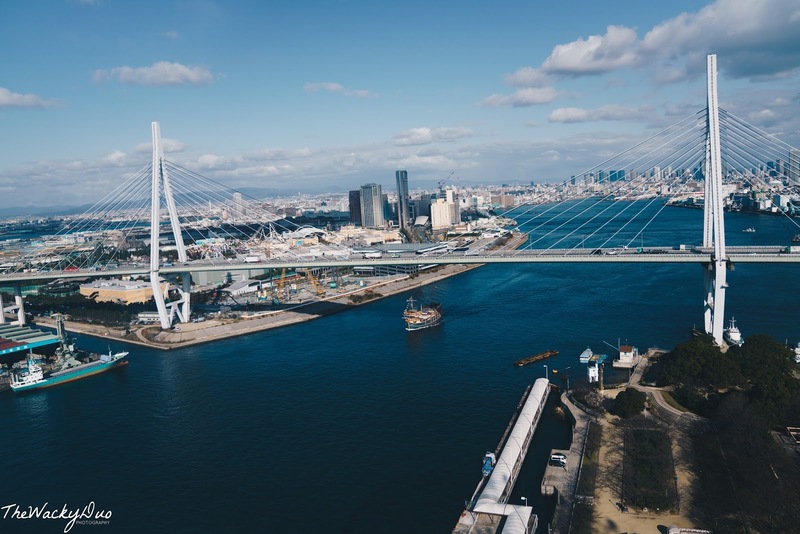 Getting to Kansai Airport from Dotonbori is a breeze. 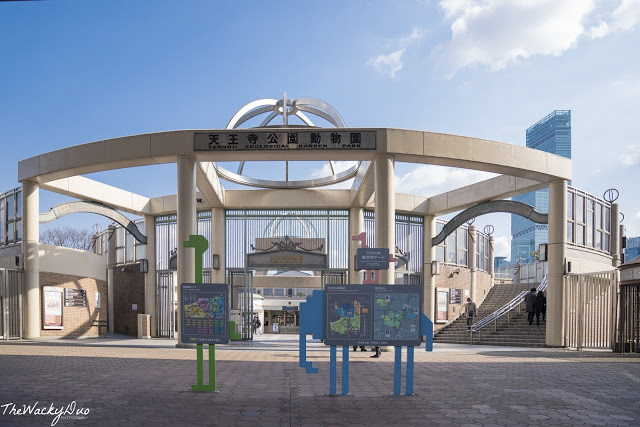 Just use the Nankai Airport Express departing from Namkai Namba Station. The only catch... walking to the station with ALL our 7 luggage! 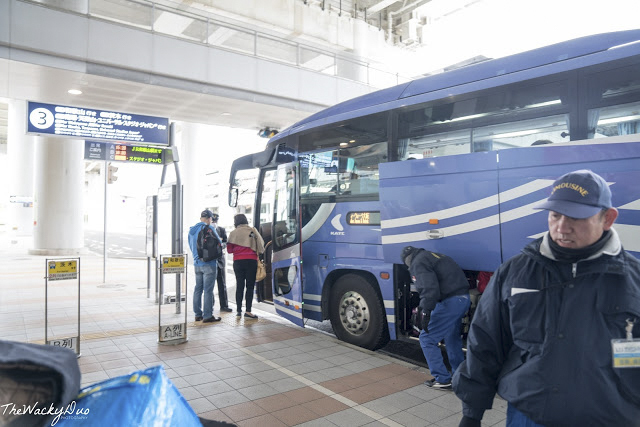 We recommend taking the Rapi:t . This is a limited express service between Kansai Airport Station and Namba. Seats are reserved so it does not get crowded. There are also spaces to put your bags. Rapi:t ( Pronounced Rapido) tickets can be booked from Klook. 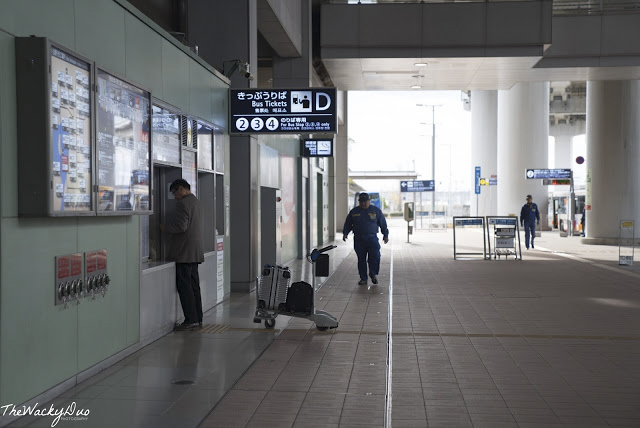 You can exchange the ticket for the physical ticket at Nankai Electric Railway ticketing counter. 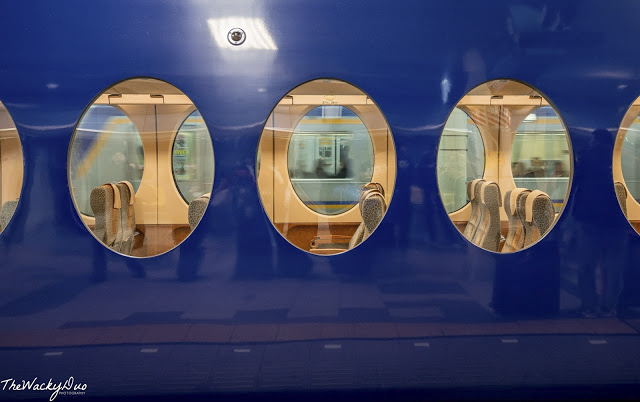 Bonus points for looking like a train straight out of a futuristic anime comic book. So there you have it, the complete 8 days itinerary for families. 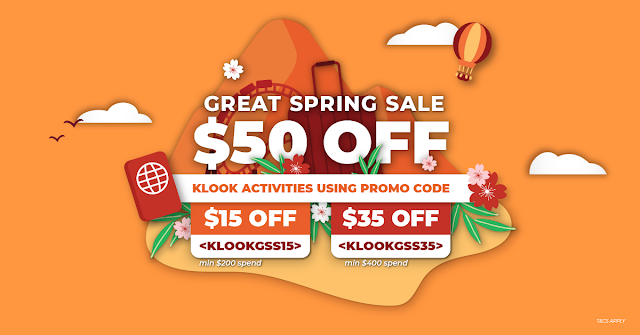 If you are interest in the attractions, we recommend Klook for your tickets. 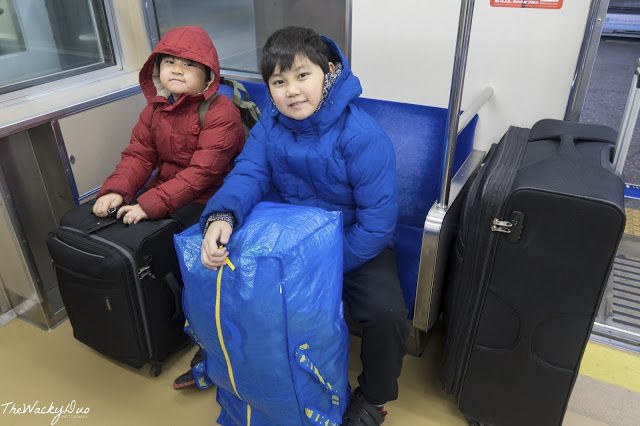 We got some of the best deals available via Klook during our trip to Osaka. 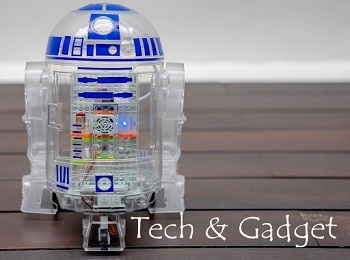 Deals featured in this post. 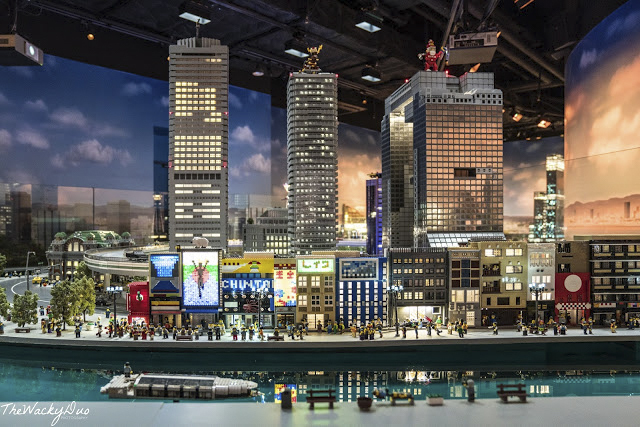 Want more of Osaka and Japan? The post contains affiliated links. If you made a purchase through the links, you won't pay a penny more, but we will get a small commission, which helps keep the lights on. 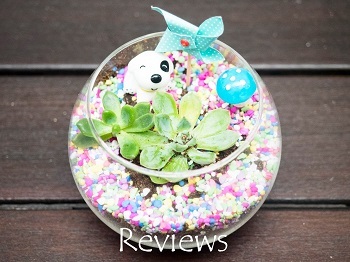 Do support us if you like this review. This review was done on our own expenses. 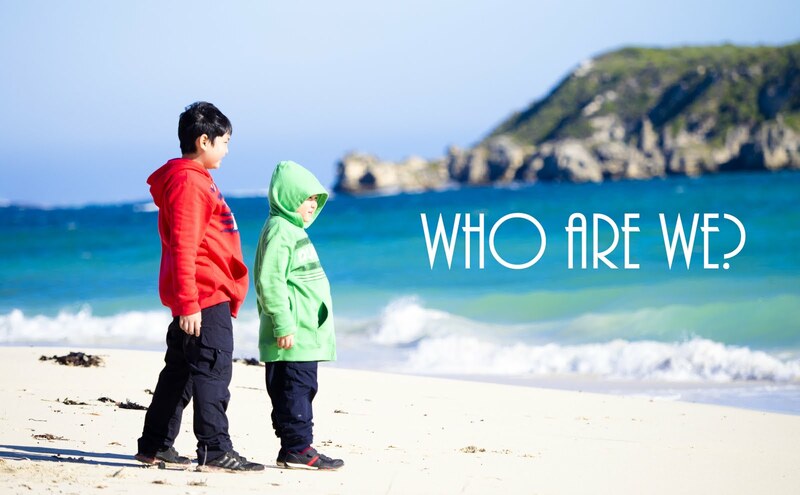 First time came across your blog from FB Japan Travel, Friendly Discussion Group and your blog is amazing. Your two boys are so cute and adorable. Amazing write up. It brings me back to the time i was in osaka. You beautiful shots btw. What camera are you using? 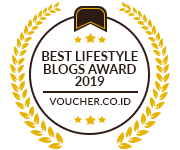 Regularly read your blog. Thanks for share very informative post. Keep it up. Hi, may I know what type of train or bus ticket did you buy for the whole journey? I am quite confused about the train system, not sure whether to buy local train ticket on top of JR pass. Thank you! 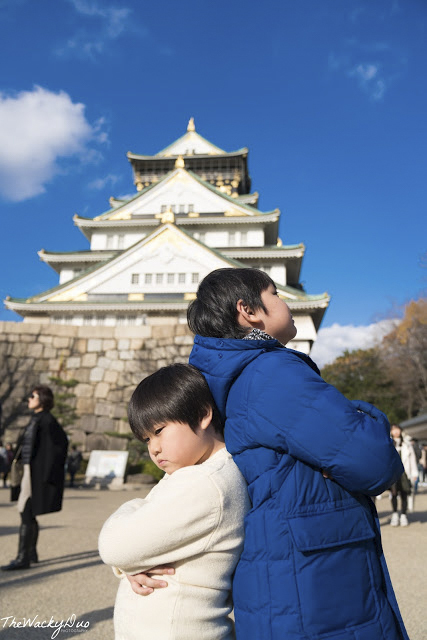 Hi was reading your post on your Osaka trip and love your initinerary. 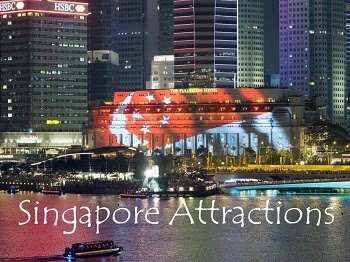 Could advise how much you send per pax on average for this trip? 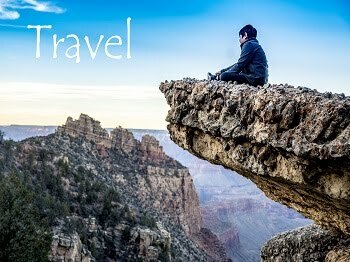 Very informative travel blog. 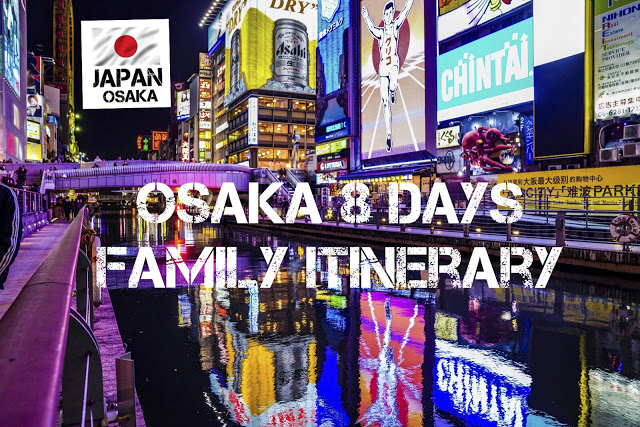 Will be travelling with my family to Osaka in November with similar itinerary so useful to read your experience. 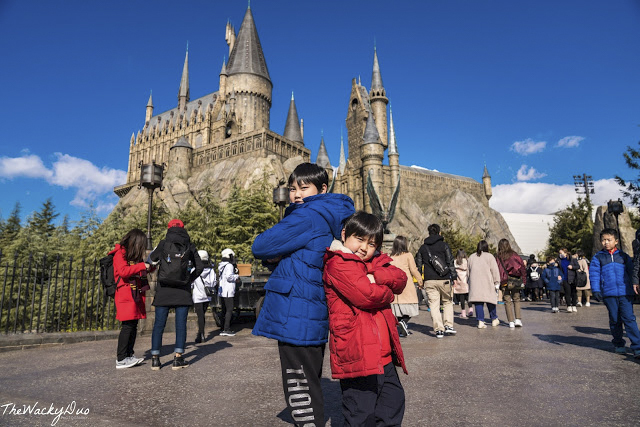 Wonder if you will recommend Universal Port Hotel vs The Park Front Hotel at USJ? Much thanks. How did you manage to use the Osaka Amazing Pass over so many days? I thought it had to be used on consecutive days? We used it for only 2 days. The last day was additional cost on our own. If you have time , you can try to squeeze it in for 2 days. 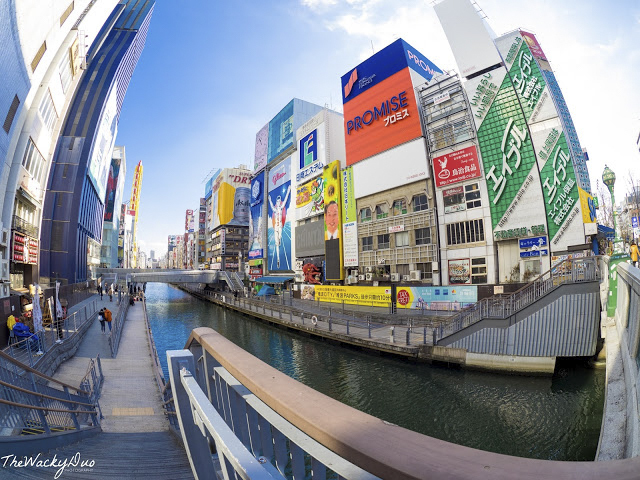 Hi, for the Osaka Amazing Pass, do you just tap it at the fare gates of the subway stations? Or do we have to exchange it for train tickets at the counter before we are able to enter the stations? Thanks! You can tap it at the fare gates if I remember correctly. Is it convenient to travel by public transport on the places that you have visited?